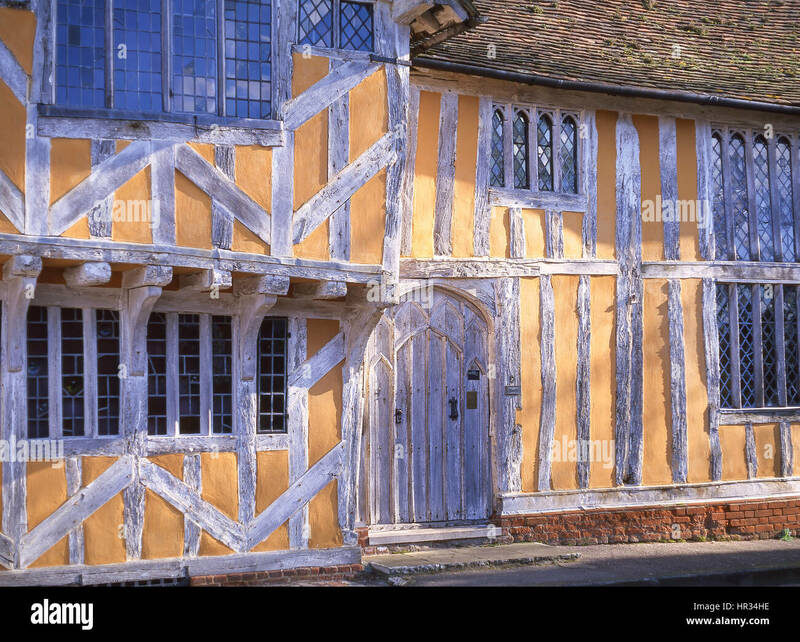 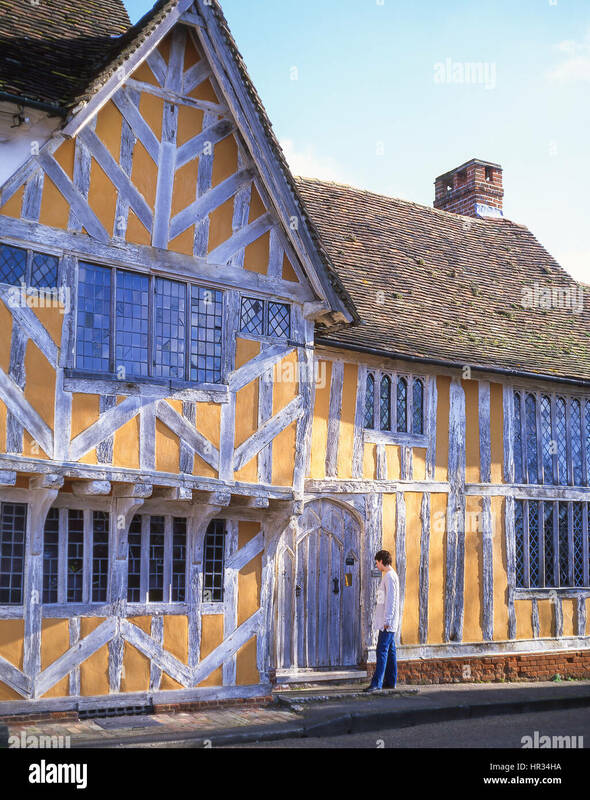 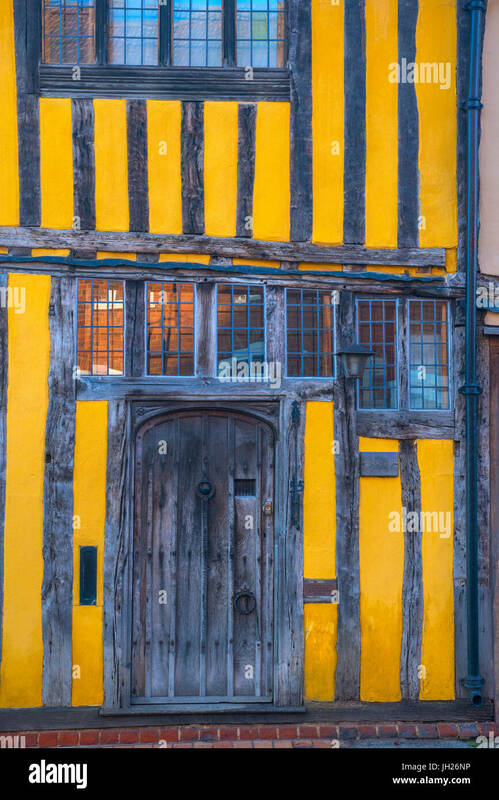 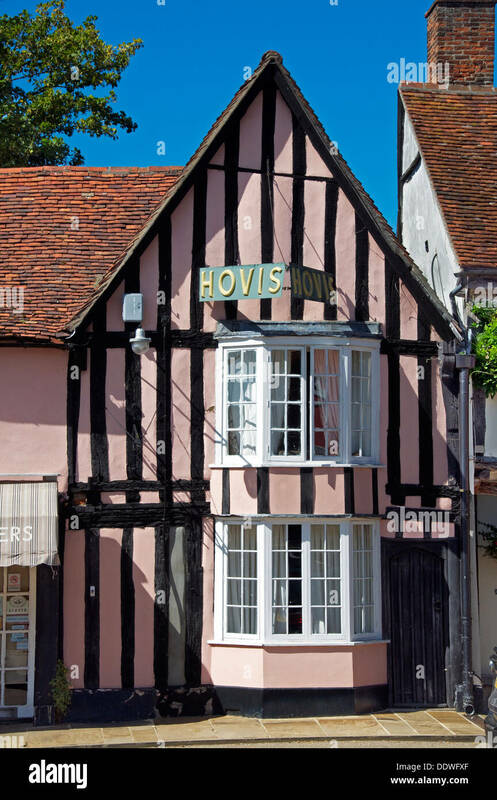 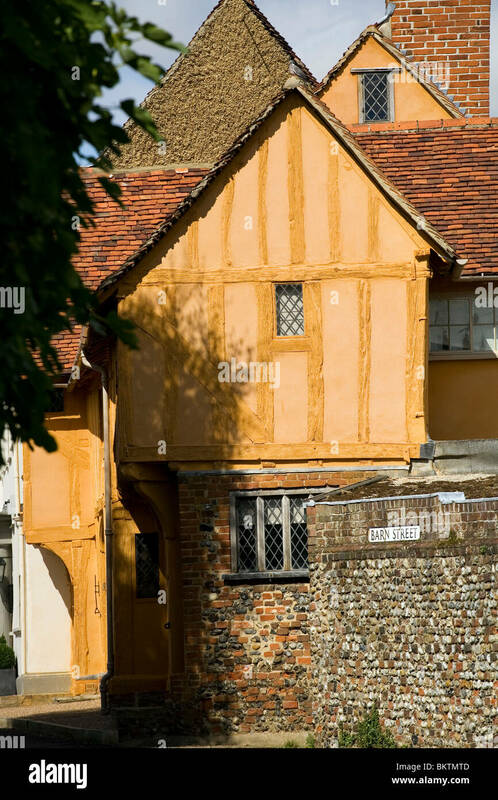 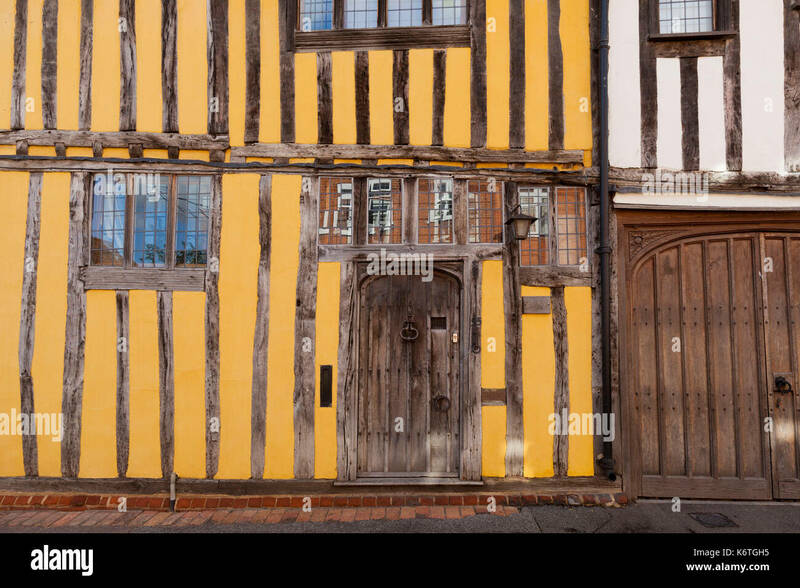 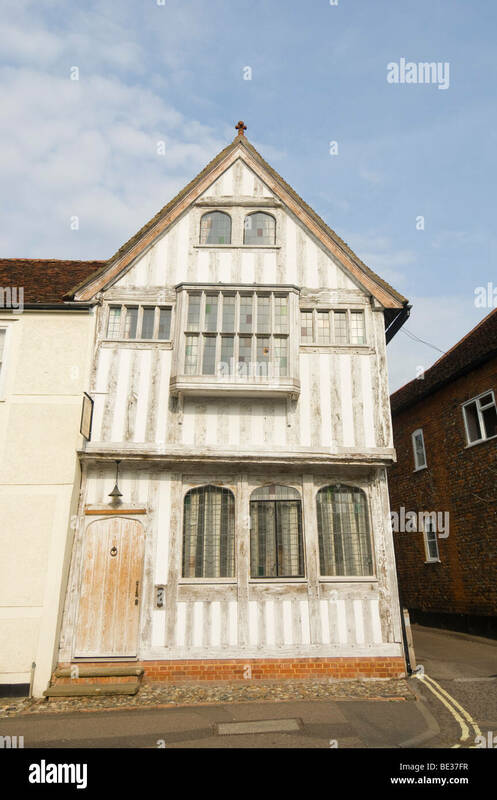 Half timbered house in Lavenham, Suffolk, England. 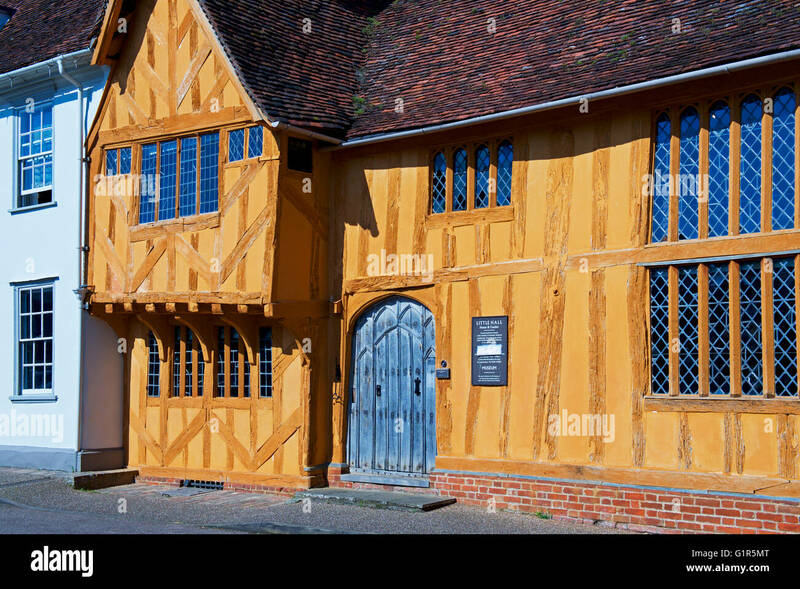 The Guildhall of the wool guild of Corpus Christi, Market Square, Lavenham, Suffolk. 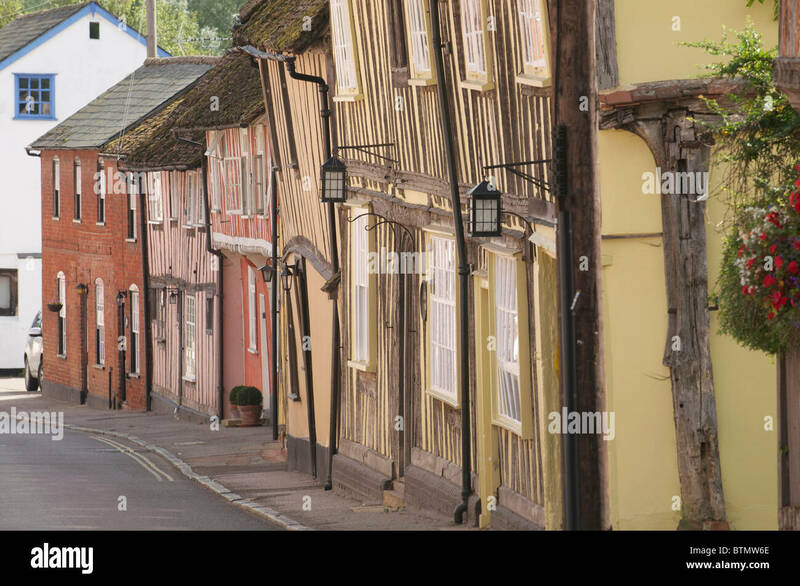 High Street in Lavenham,England's best preserved medieval village, Suffolk, England. 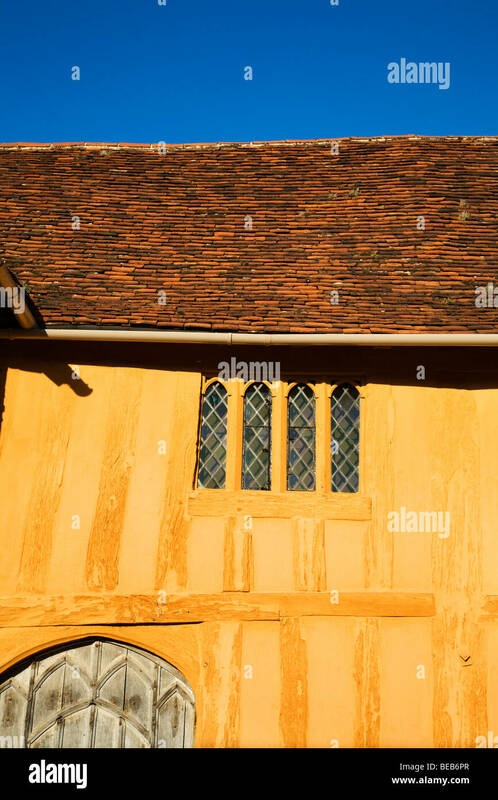 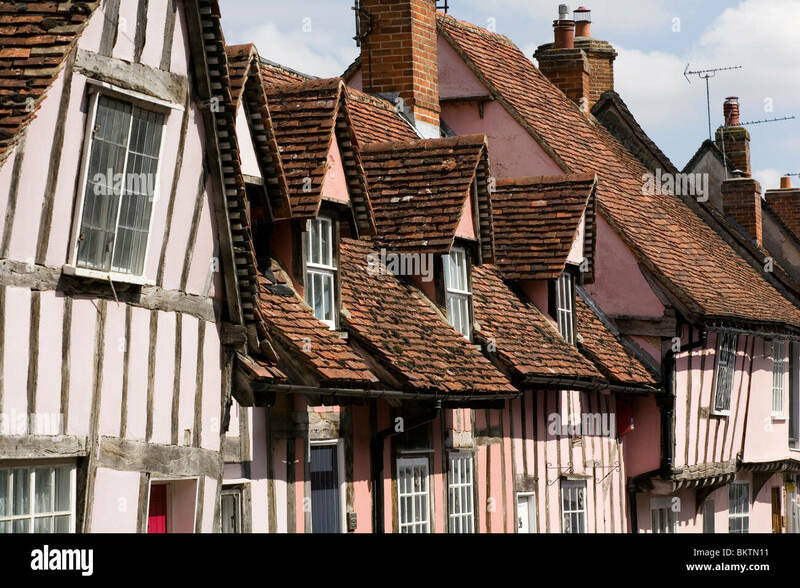 Roof details of a row of medieval houses in Lavenham, Suffolk. 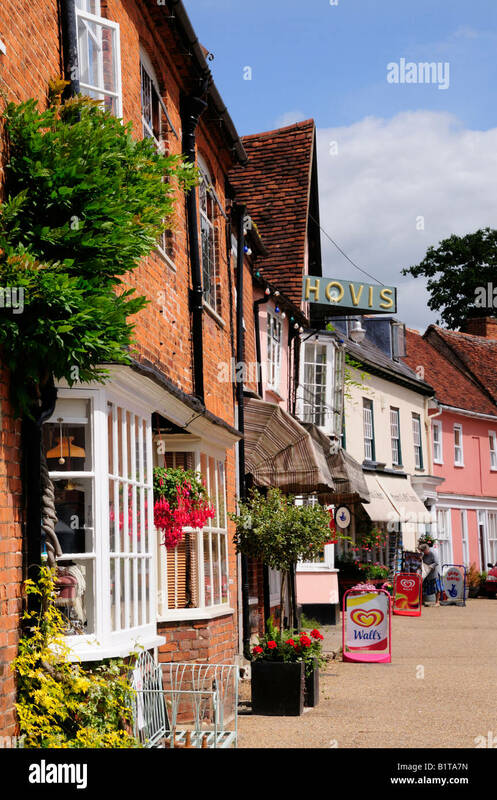 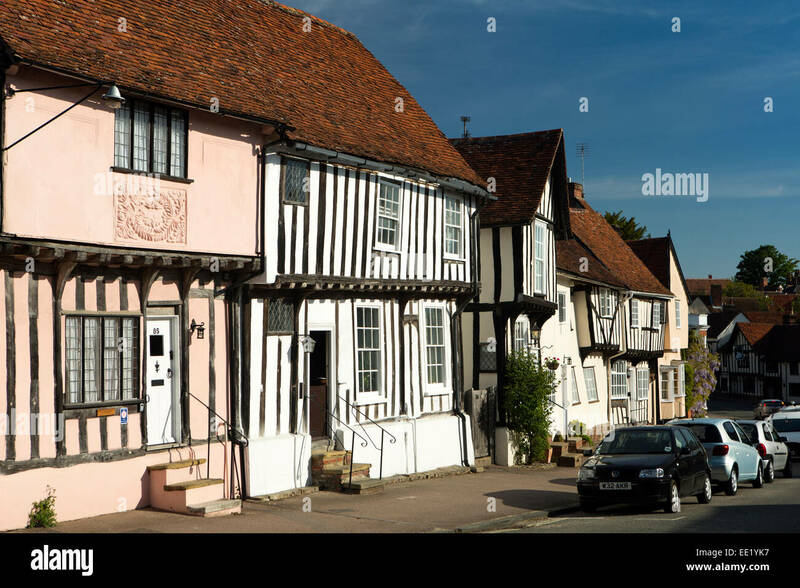 A row of shops on the Market Square in the historic town of Lavenham. 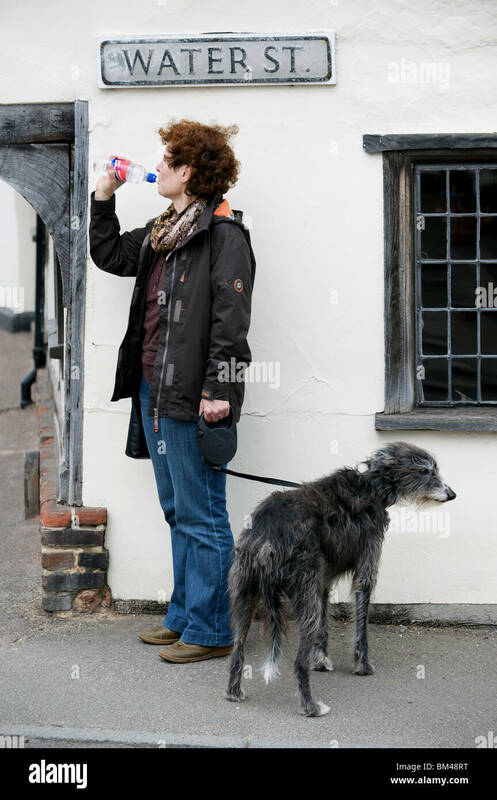 Woman drinking bottle water on Water street, Lavenham, Suffolk, UK. 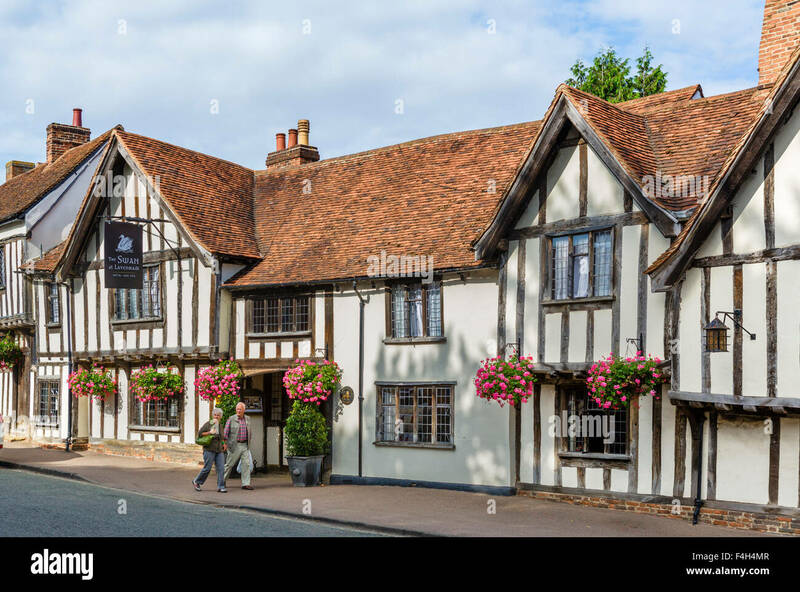 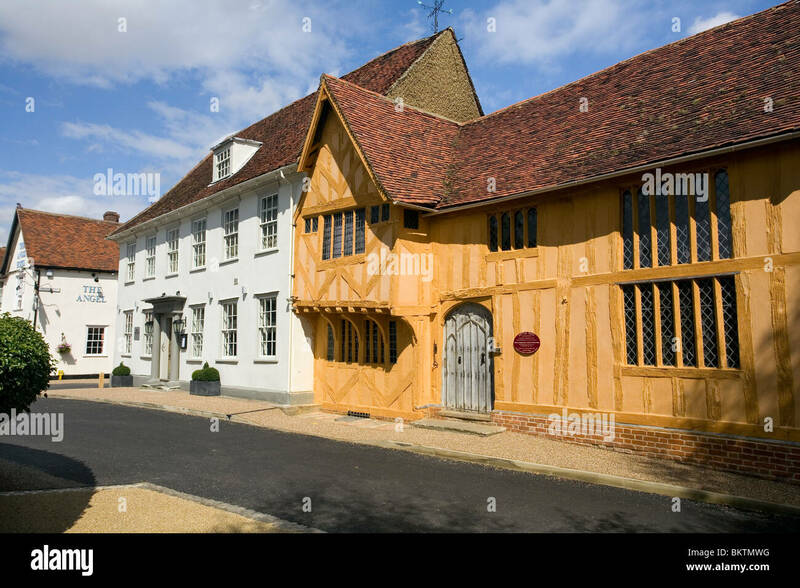 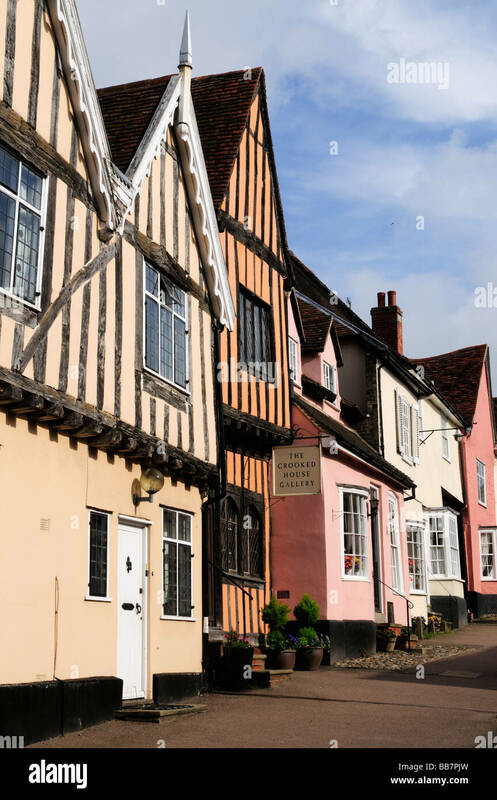 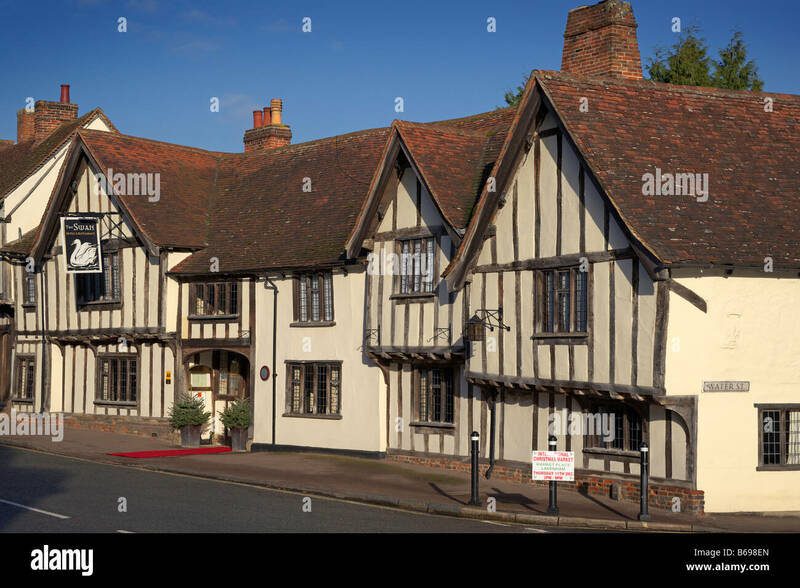 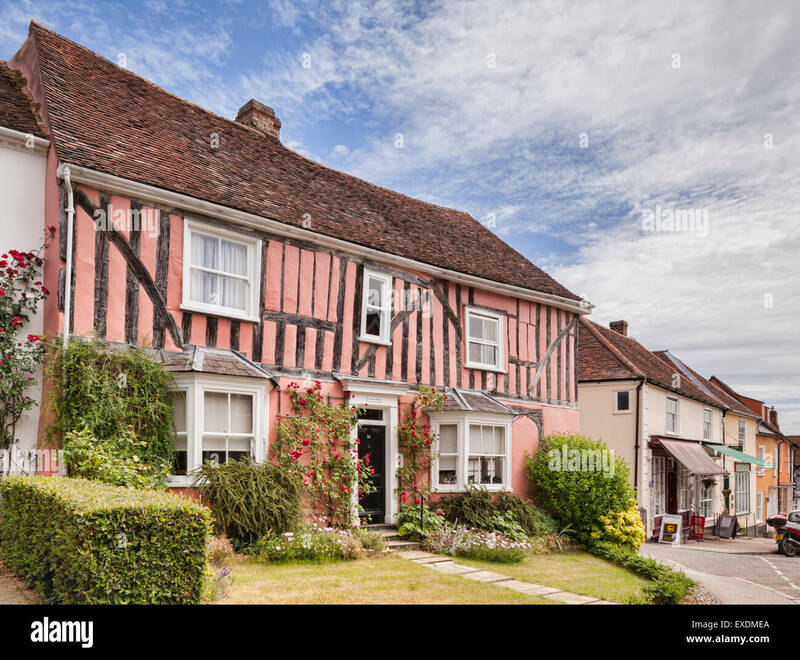 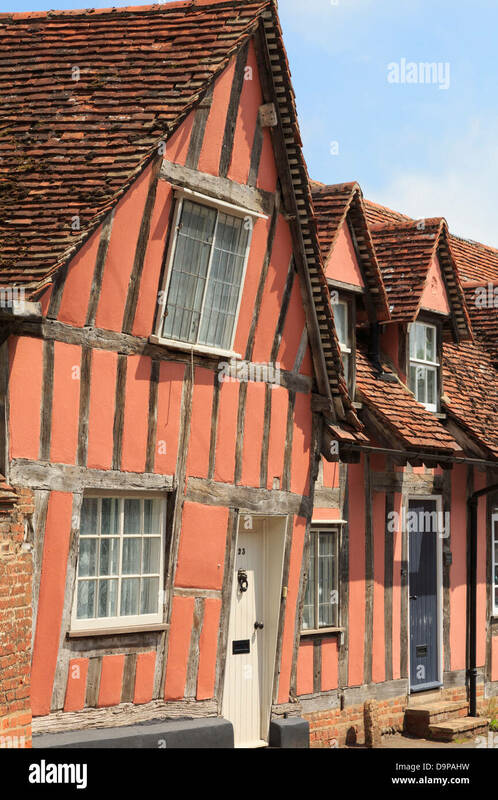 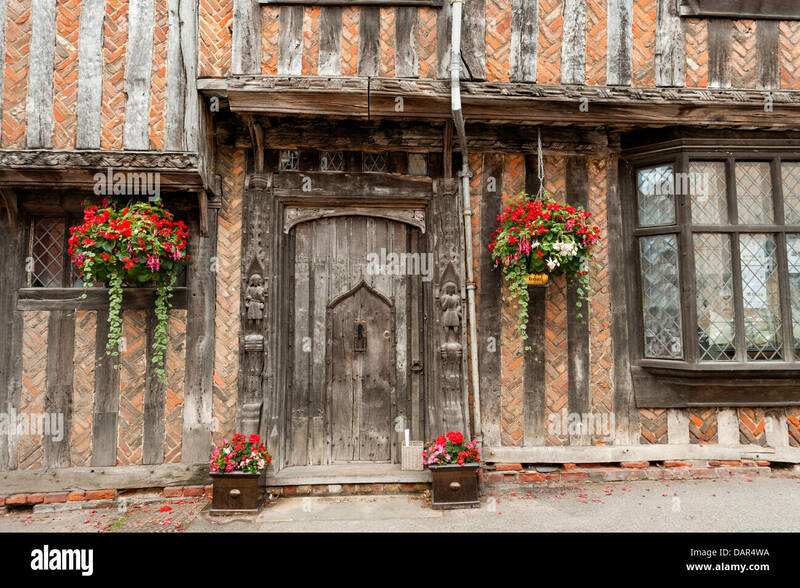 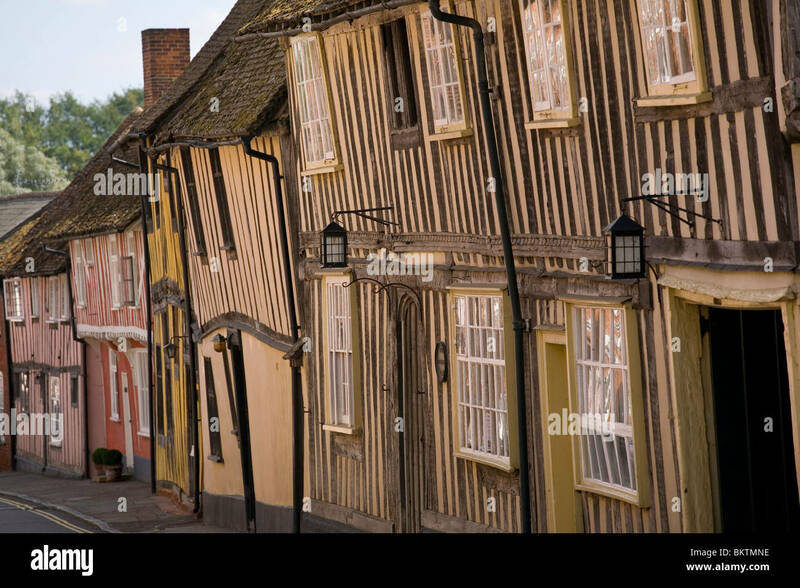 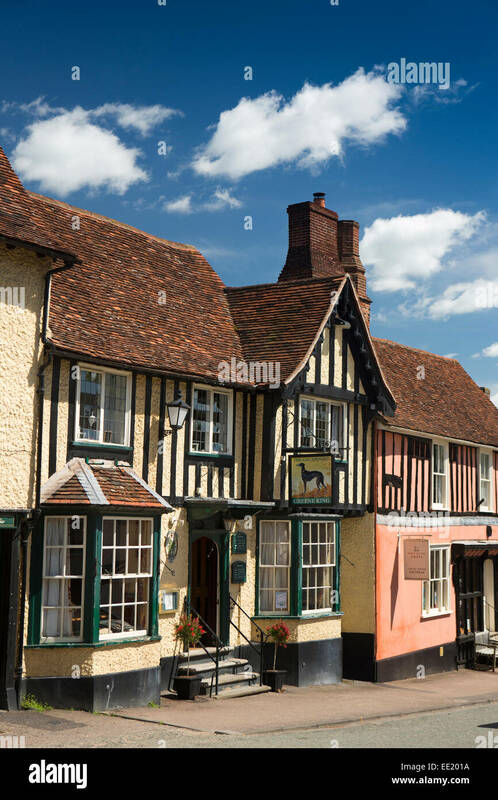 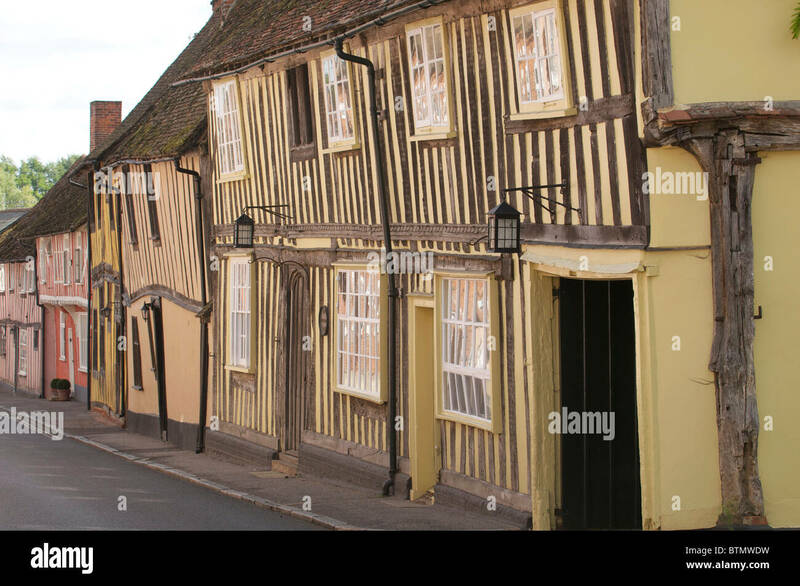 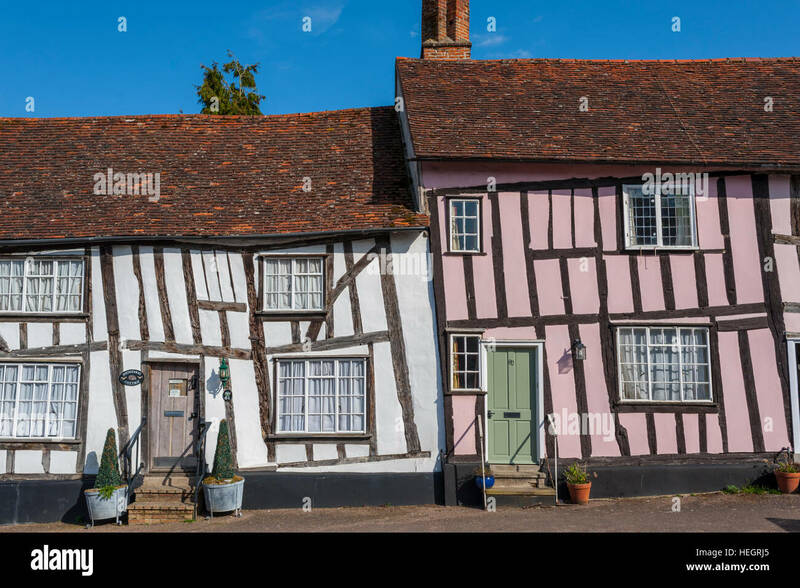 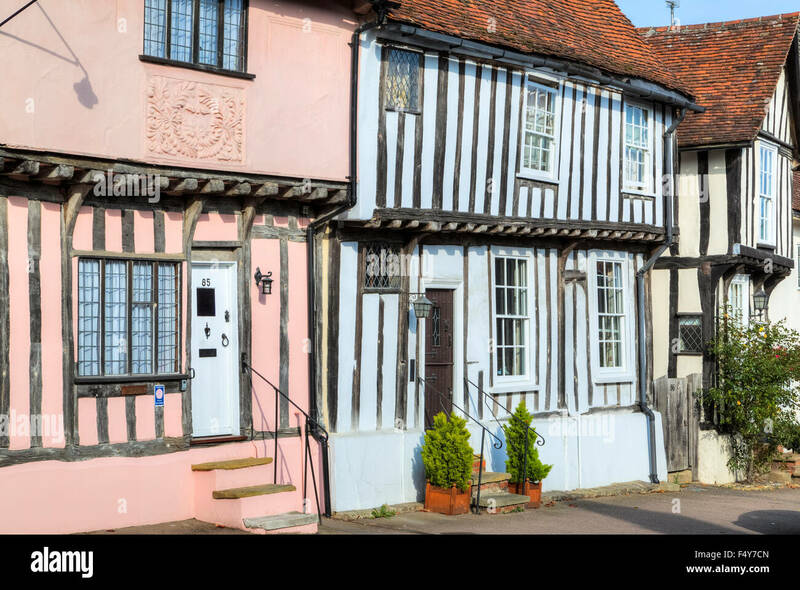 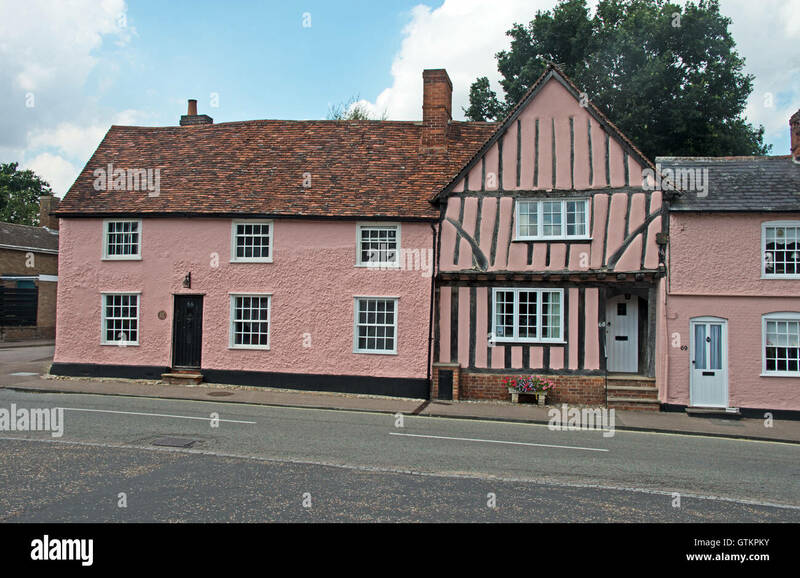 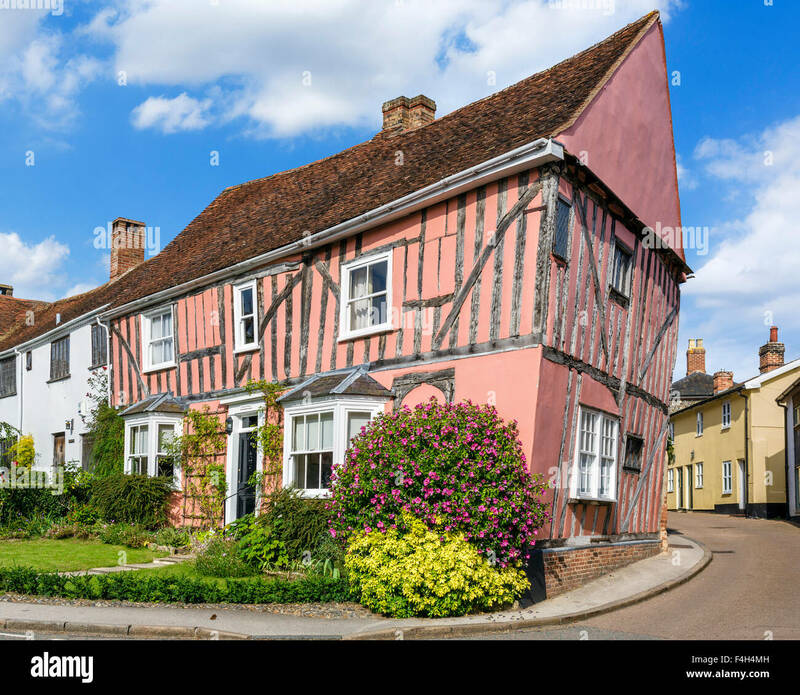 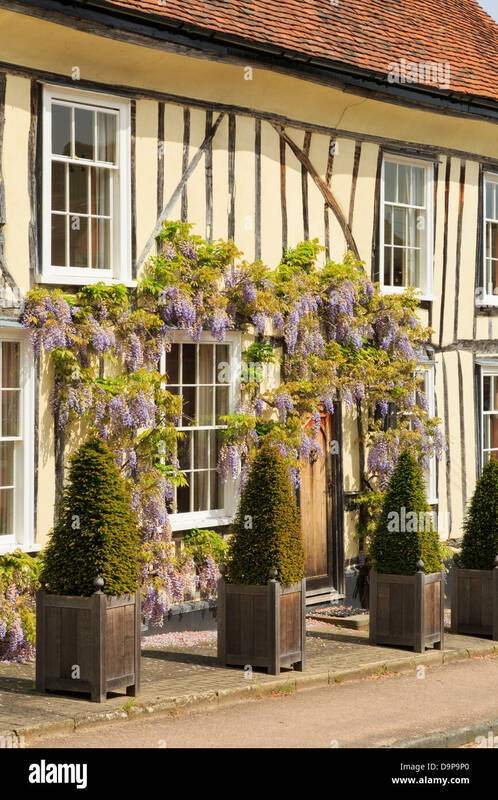 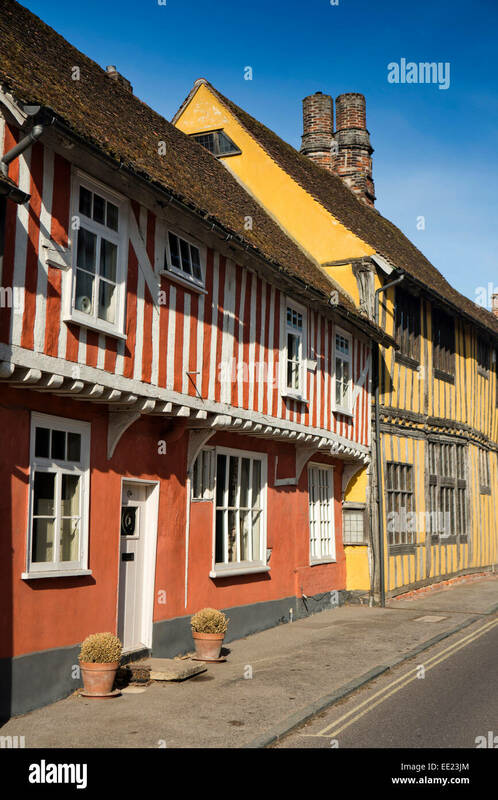 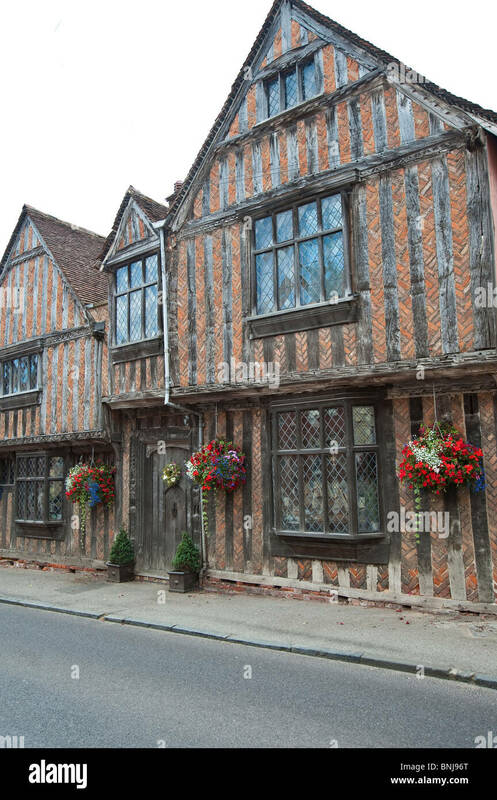 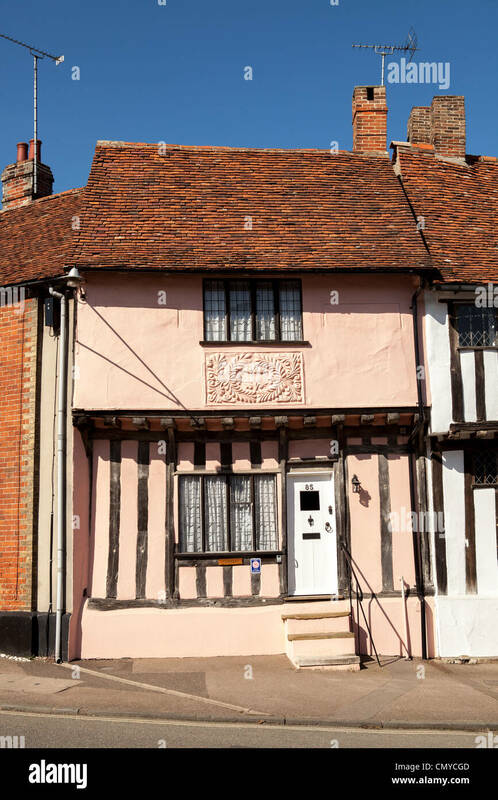 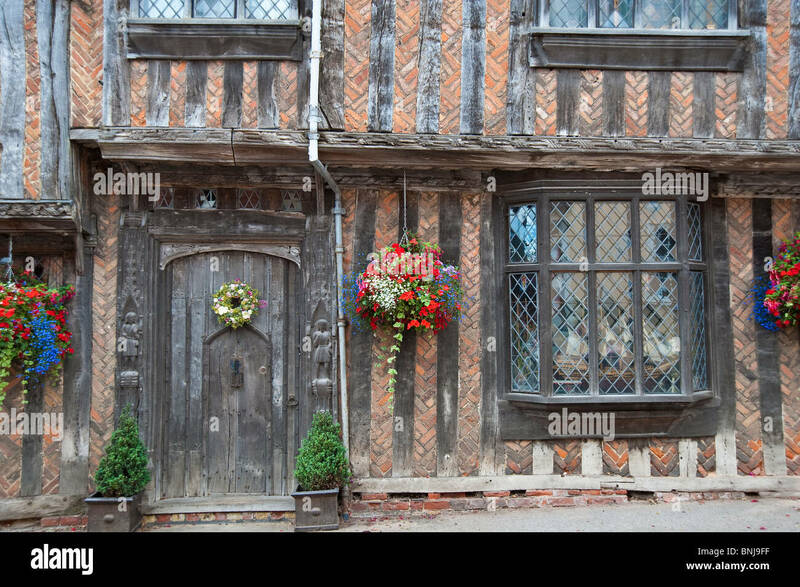 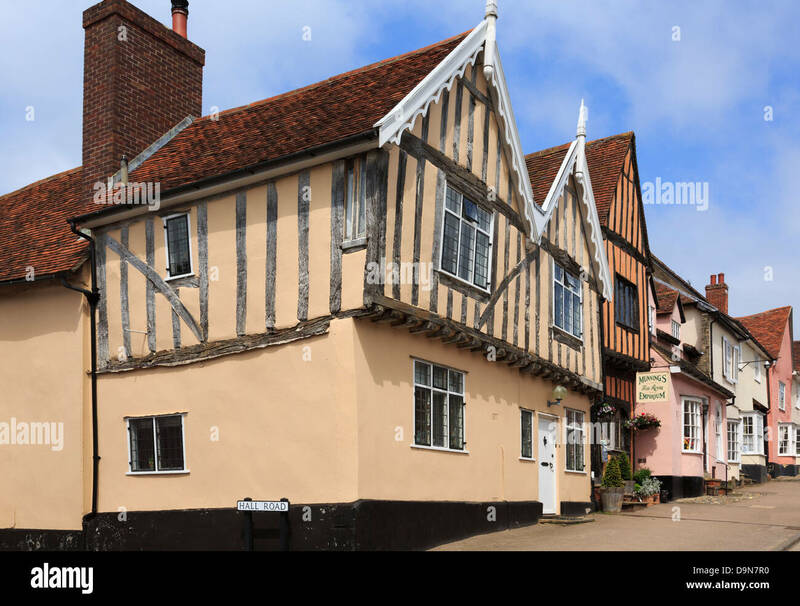 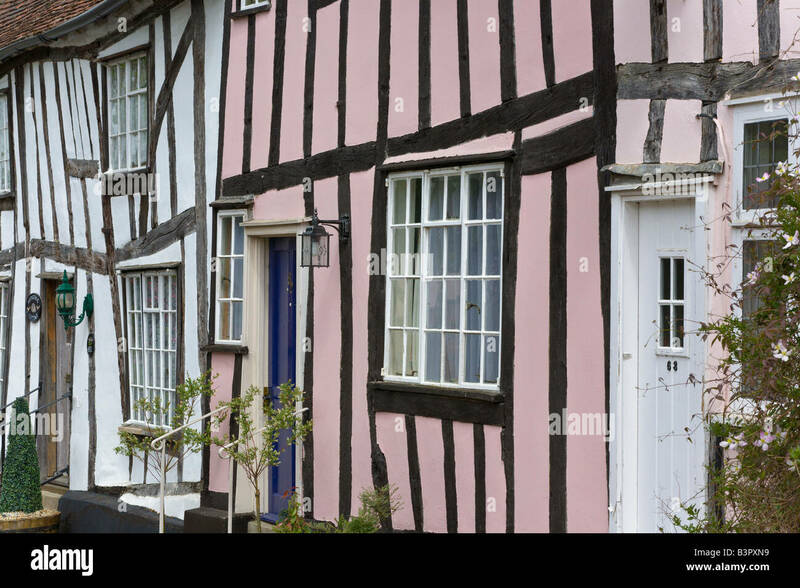 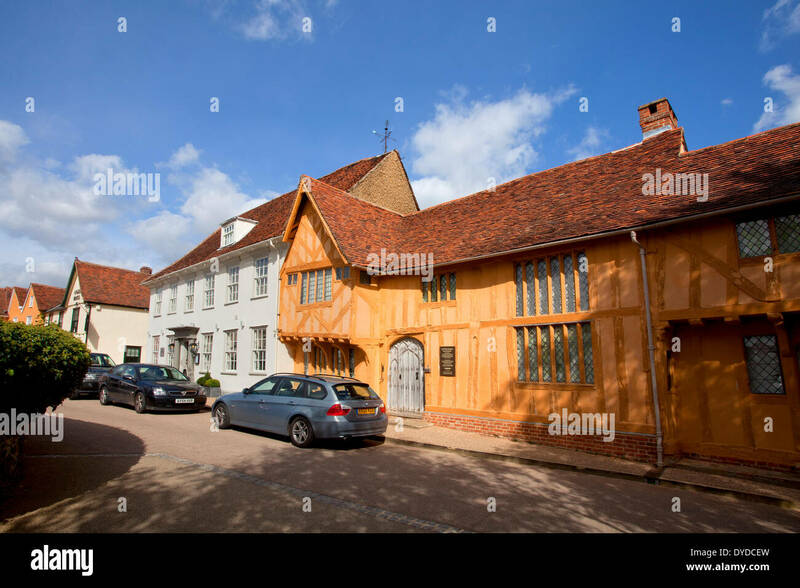 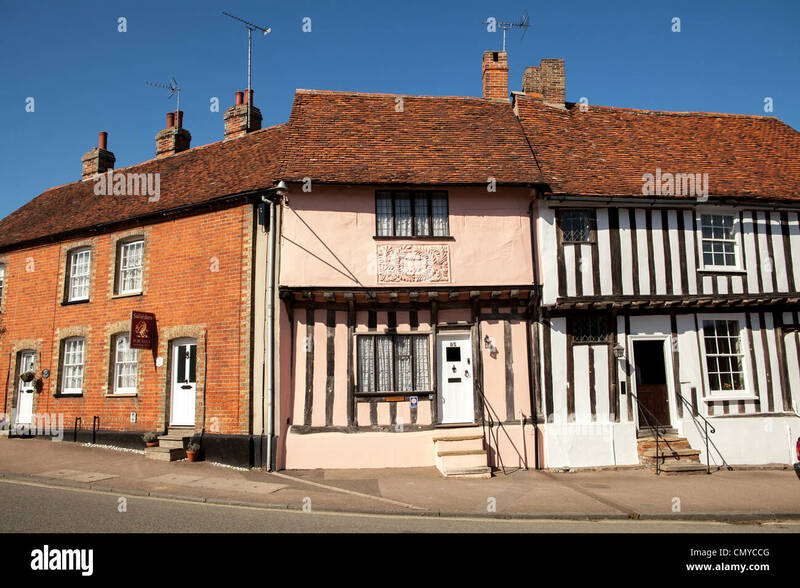 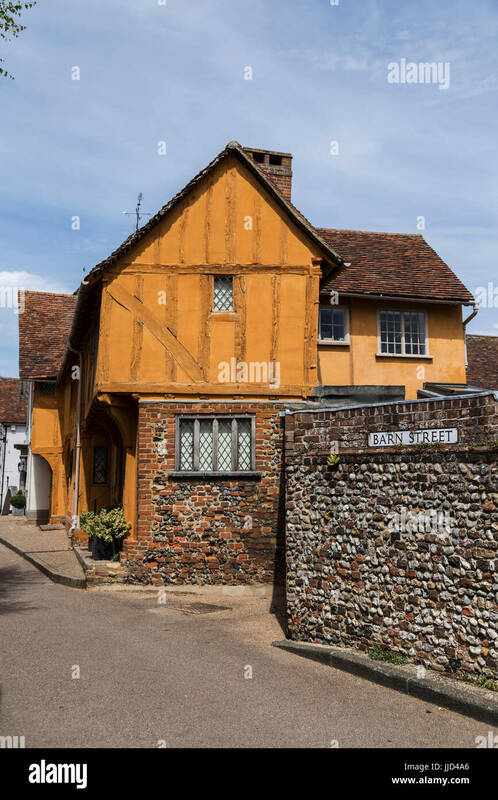 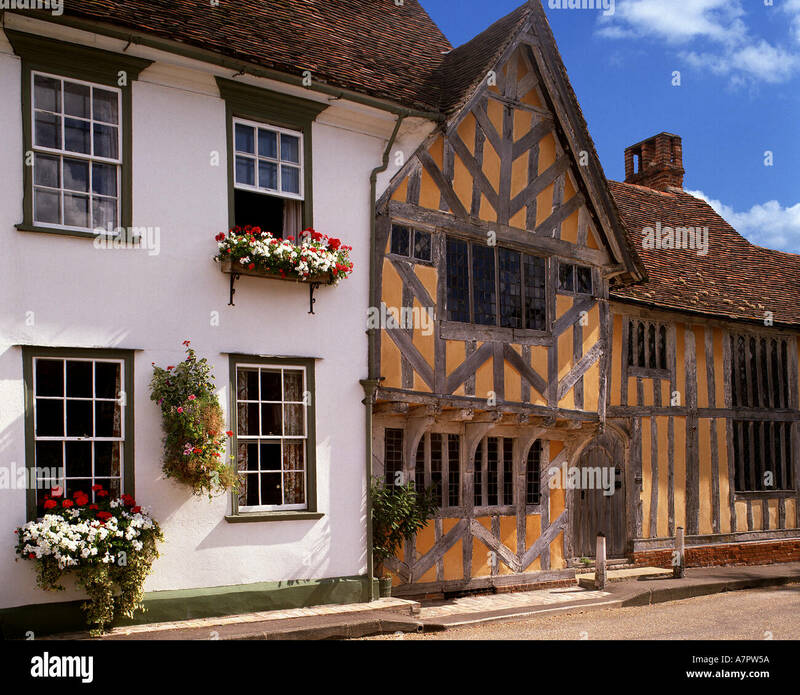 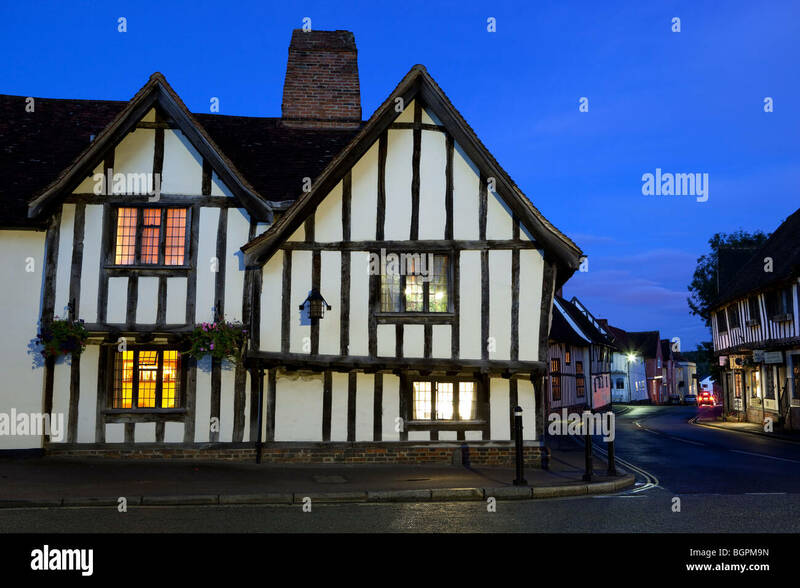 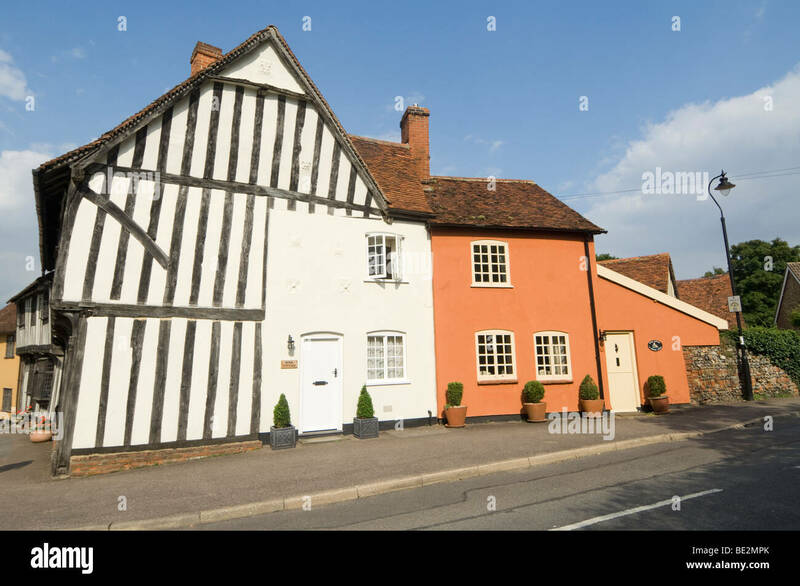 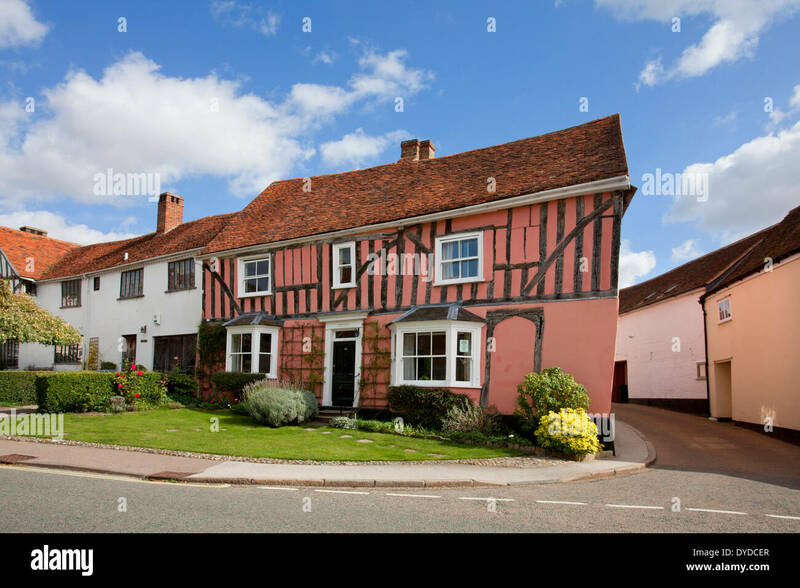 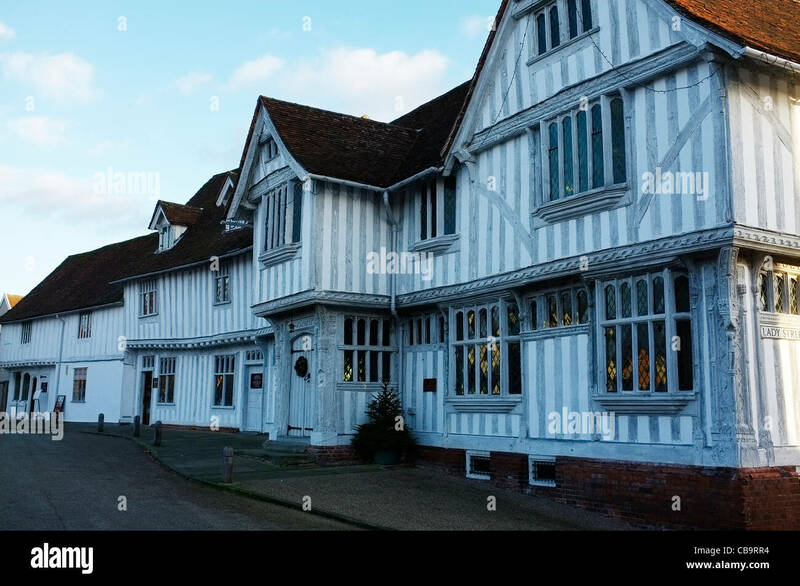 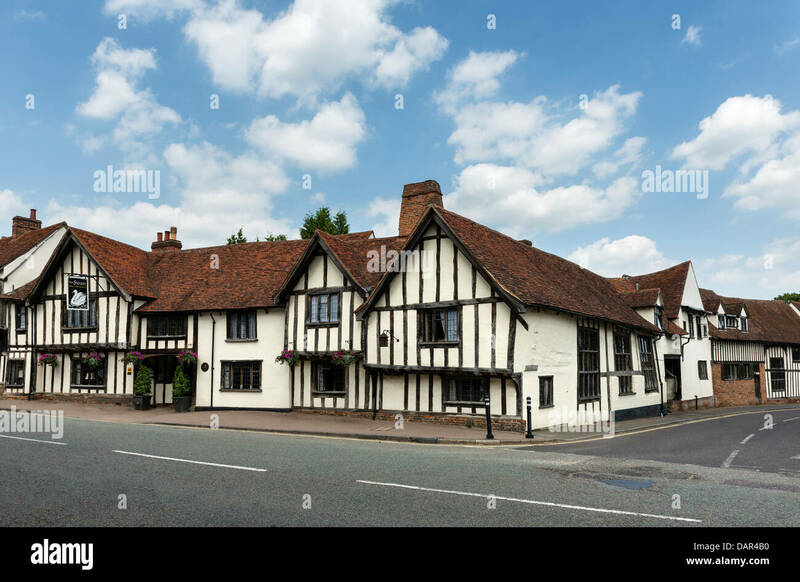 England, Suffolk, Lavenham, Old timber framed cottages in the village. 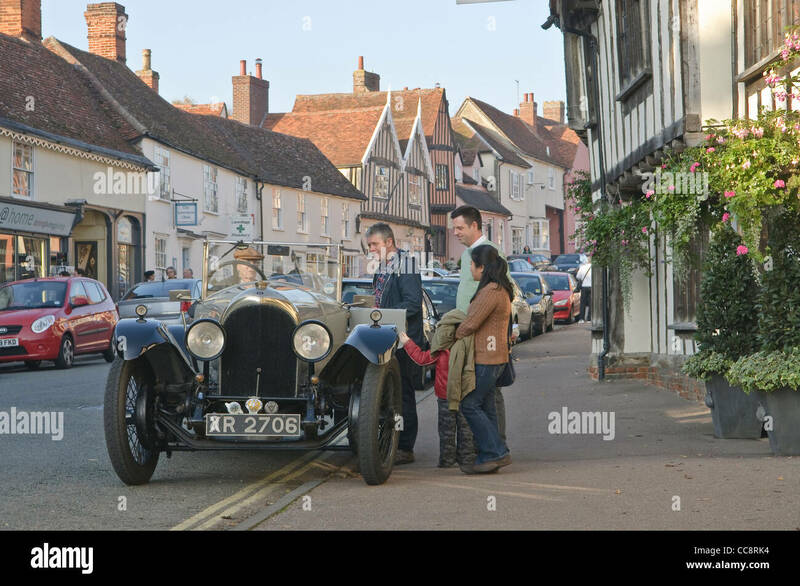 Classic vintage Bentley parking in the front of Swan Hotel in Lavenham, Suffolk, UK. 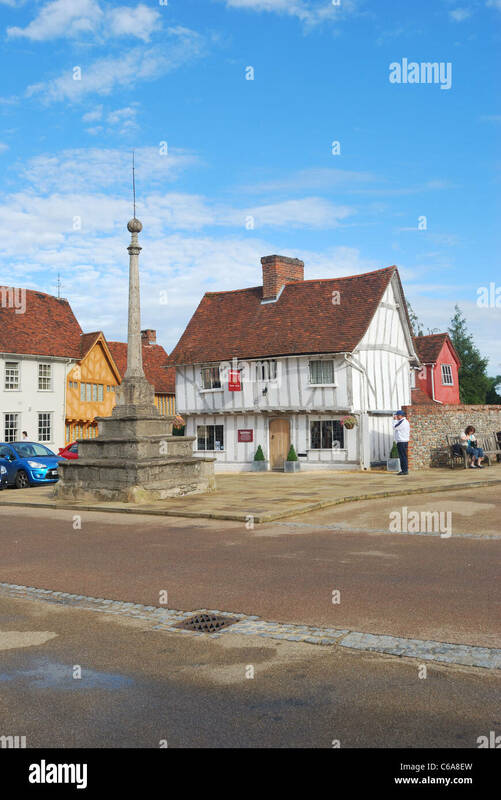 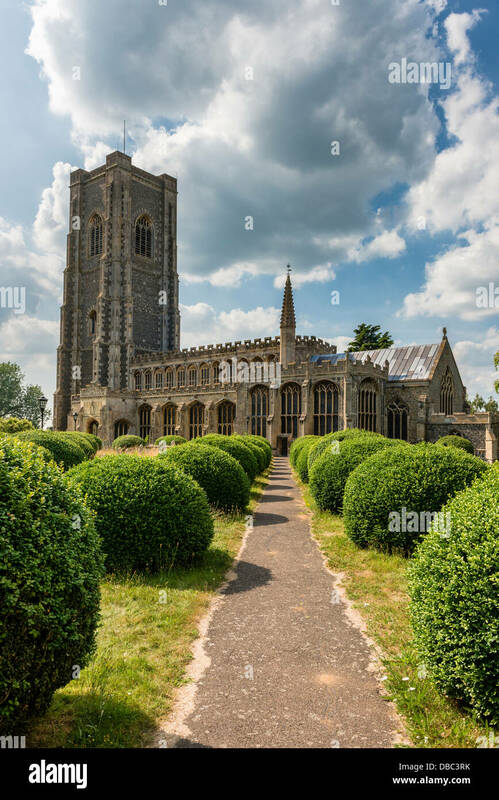 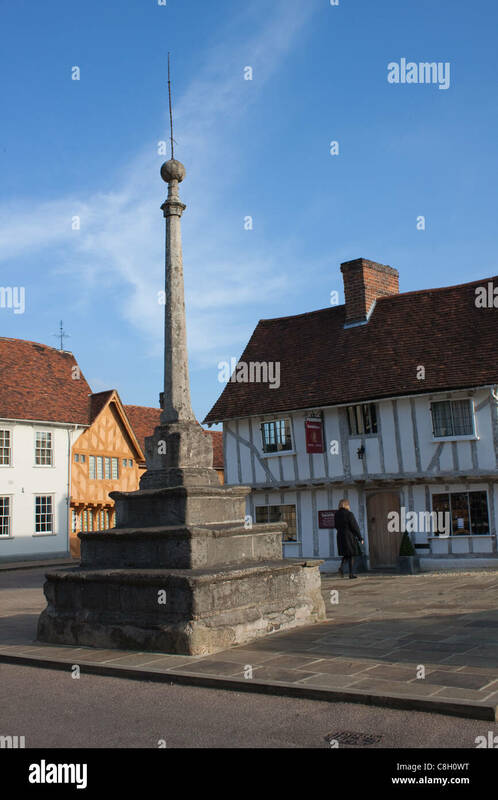 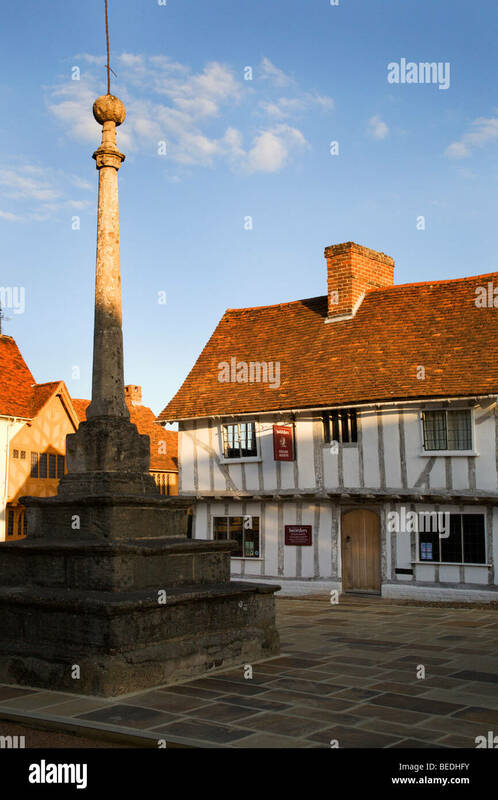 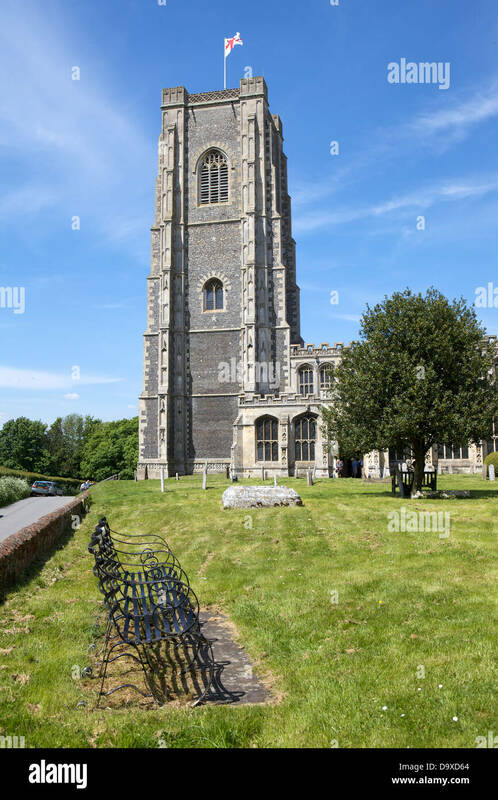 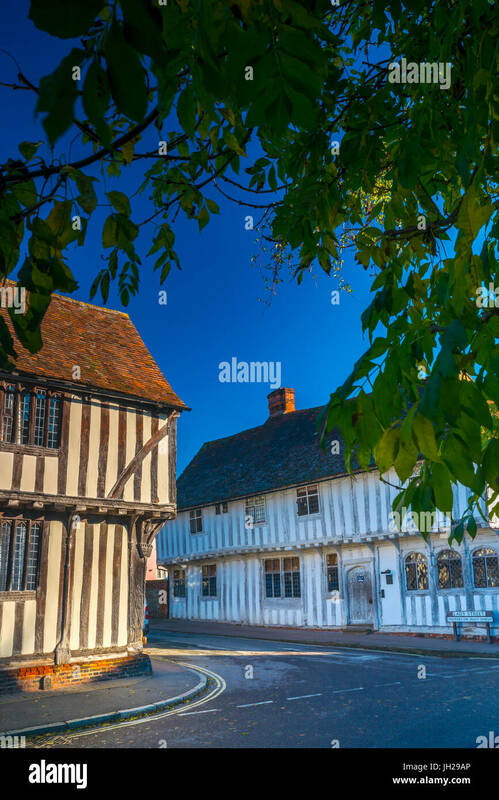 Market Square, Lavenham, Suffolk, UK. 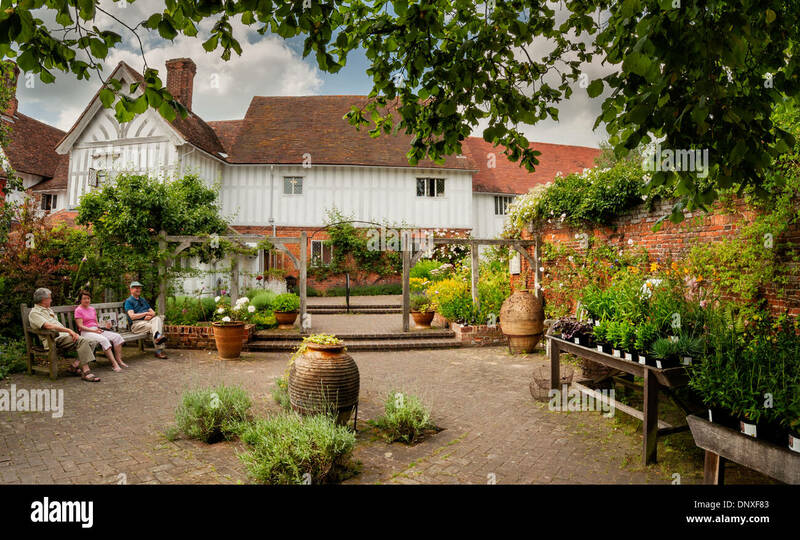 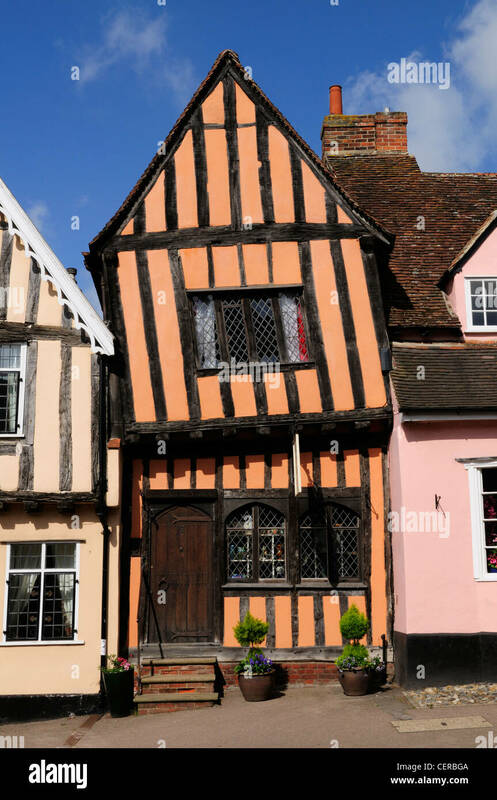 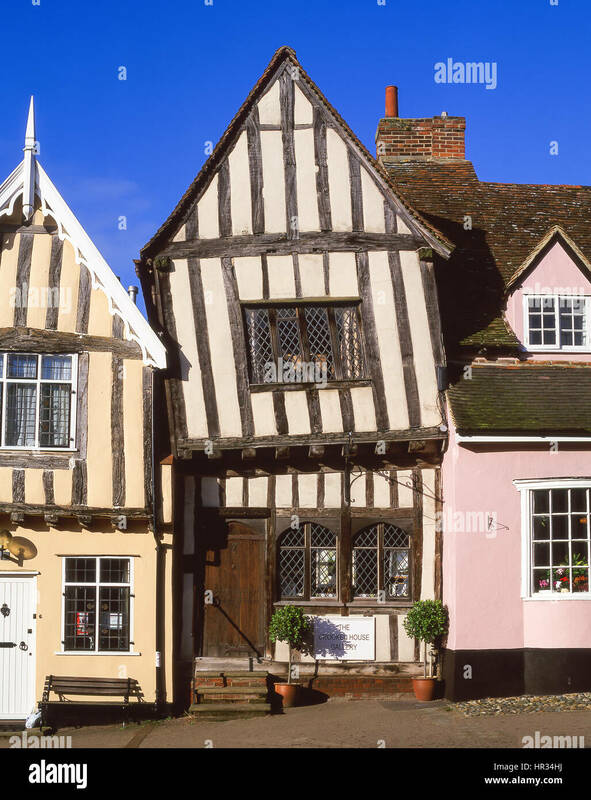 The Crooked House Gallery in a half-timbered medieval building built around 1425 in Lavenham. 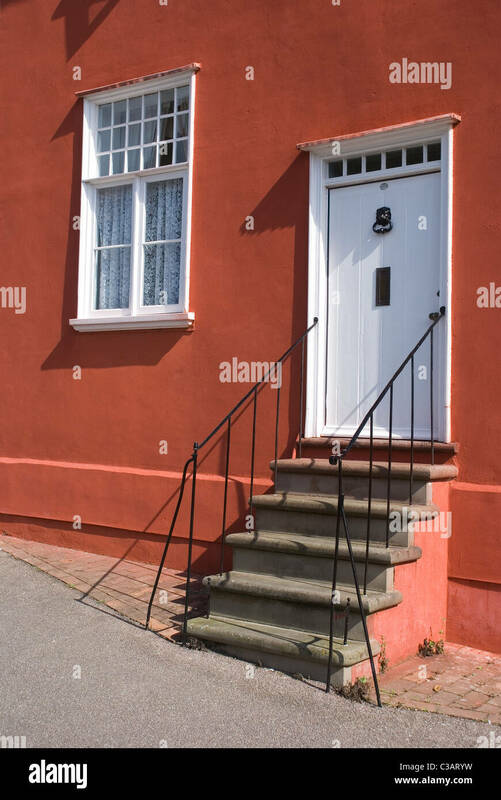 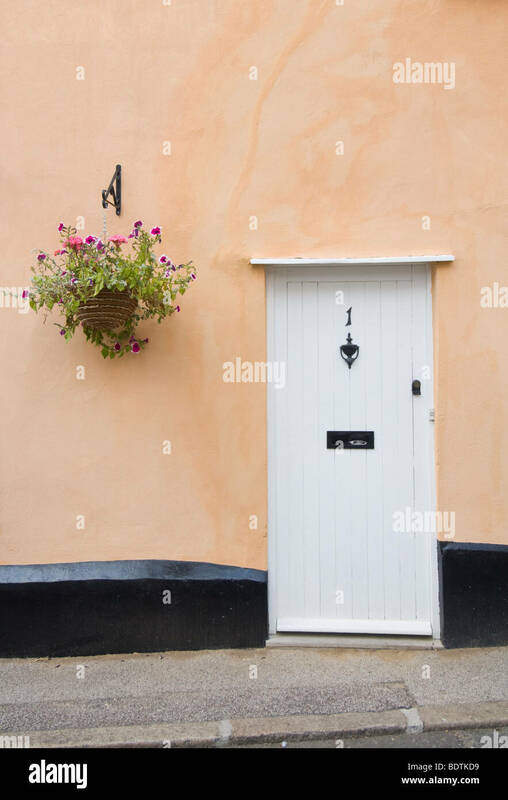 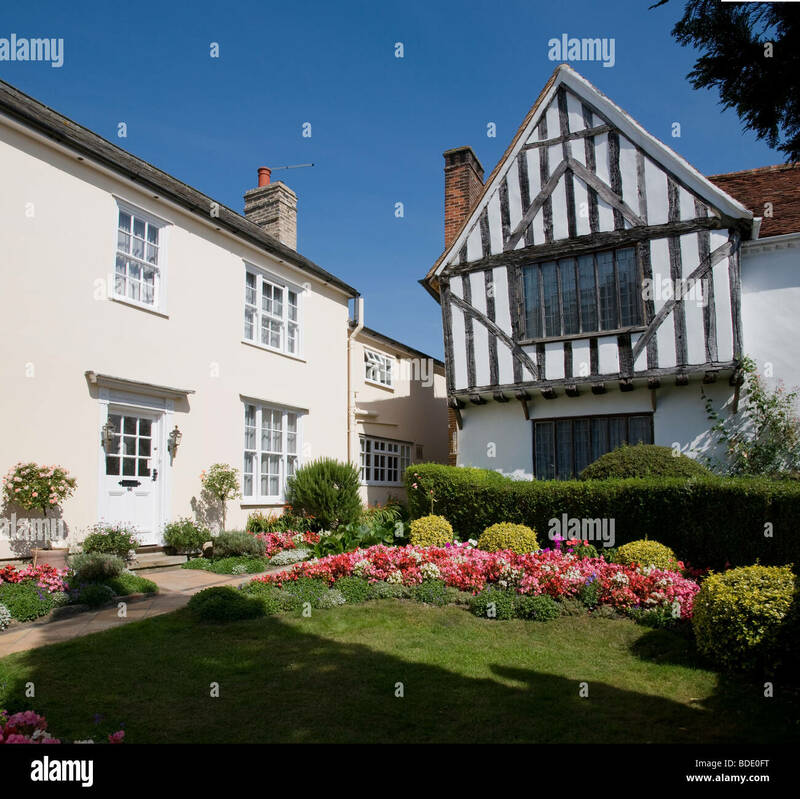 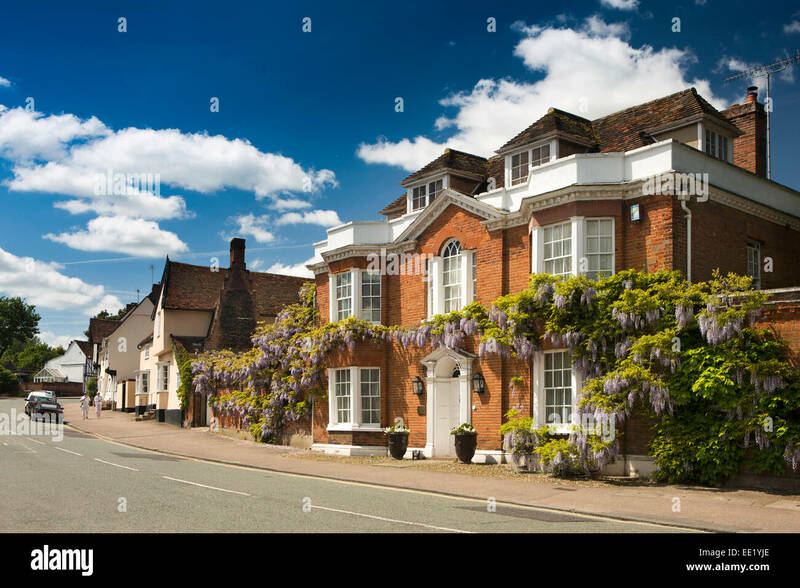 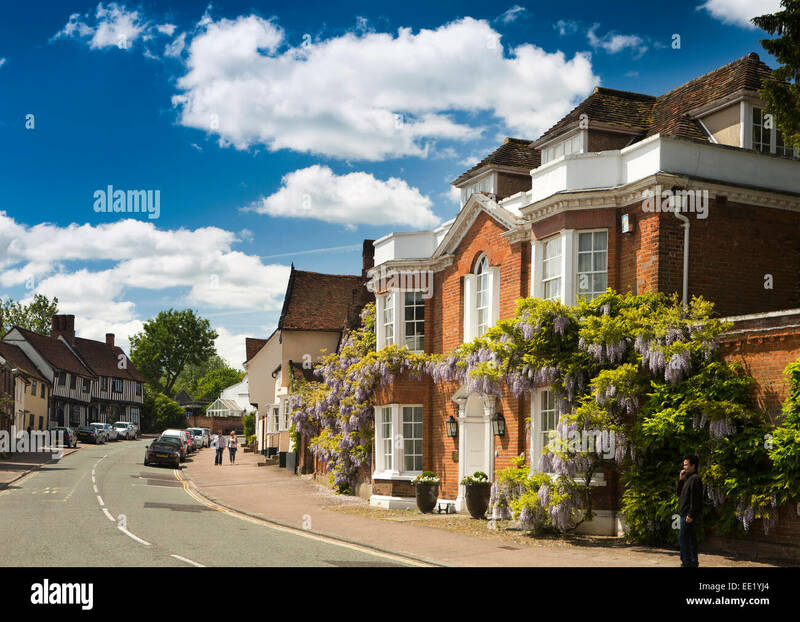 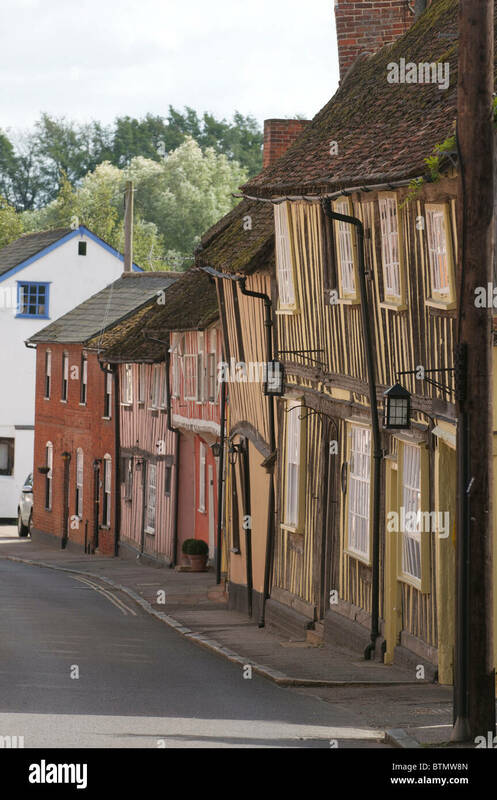 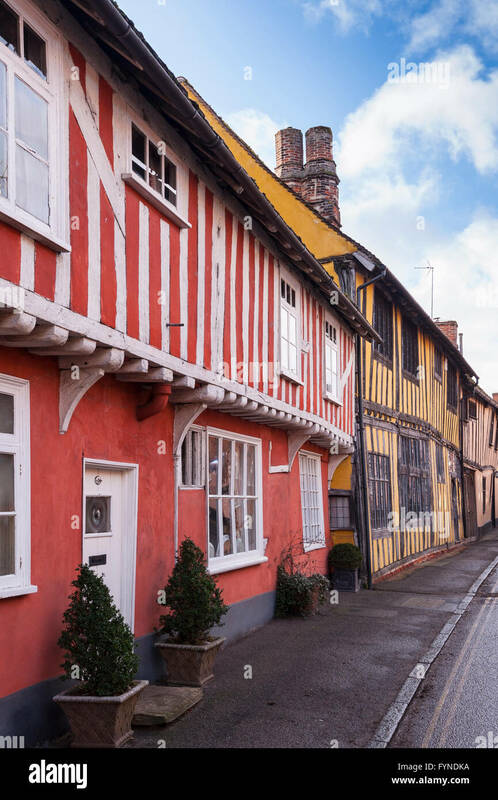 Traditional old-fashioned English houses in a street in Lavenham, Suffolk, England. 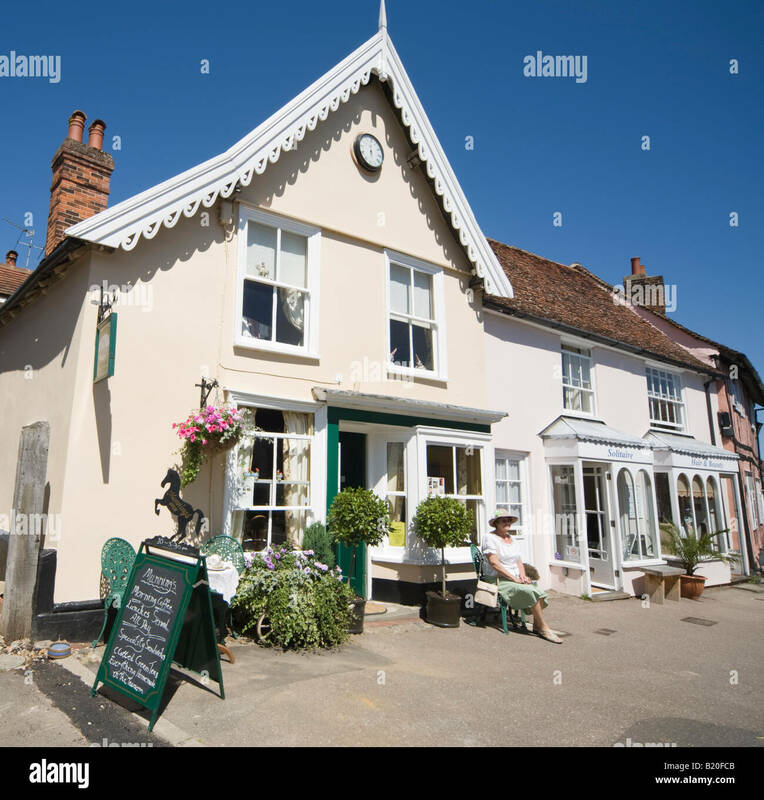 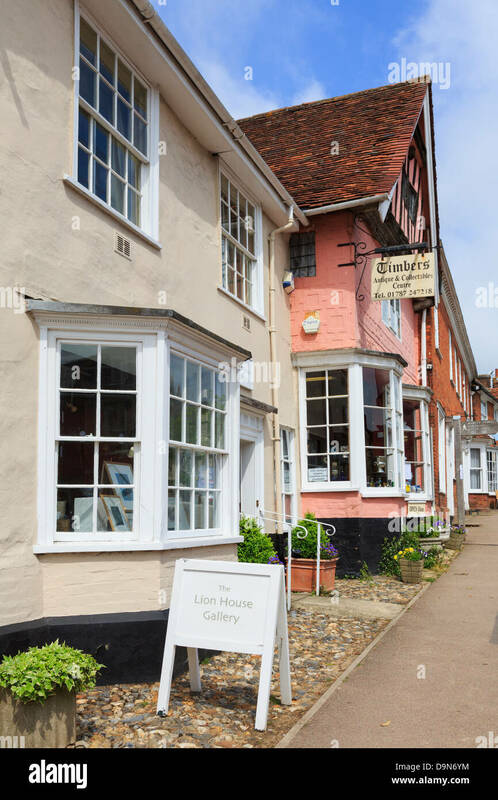 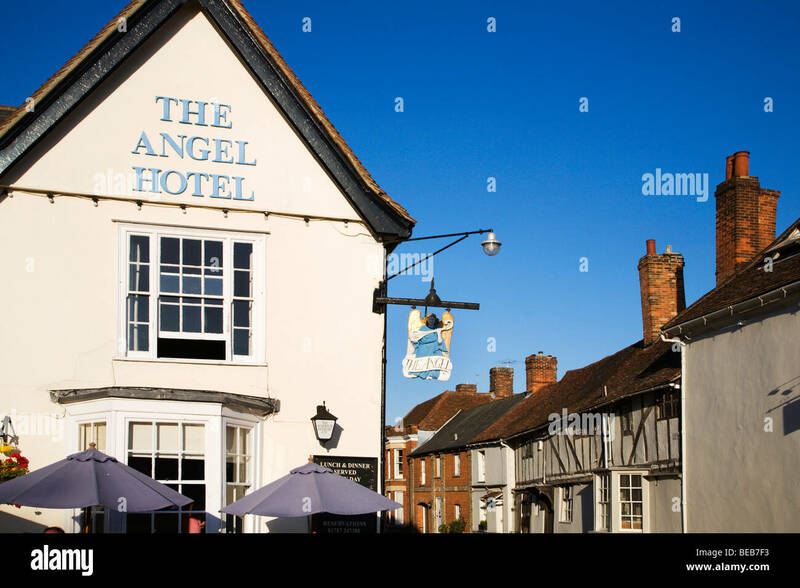 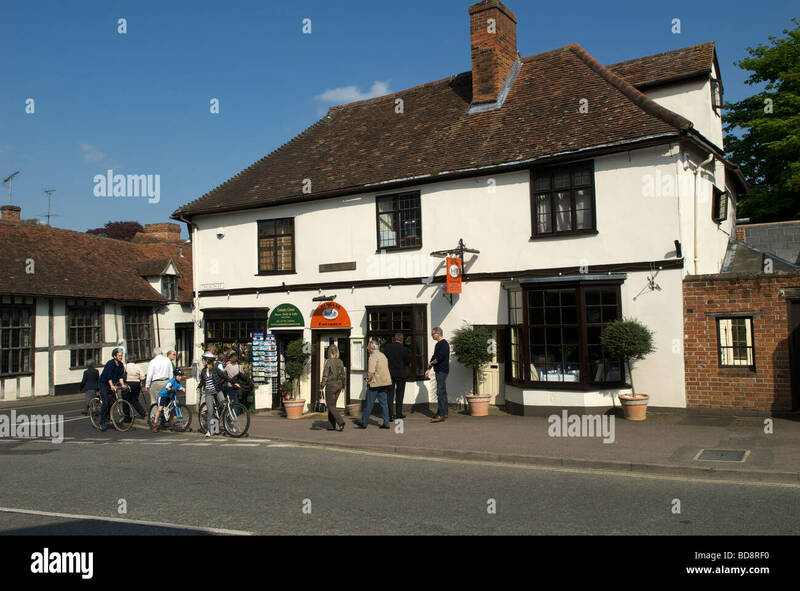 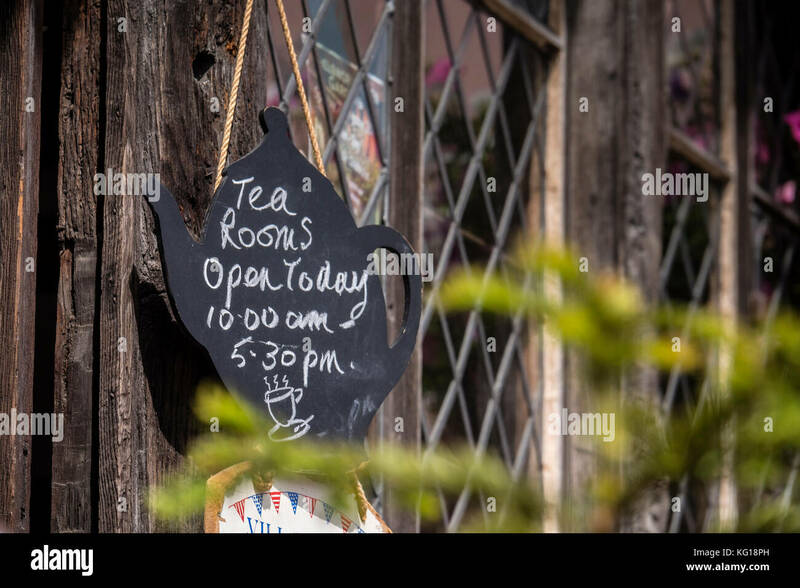 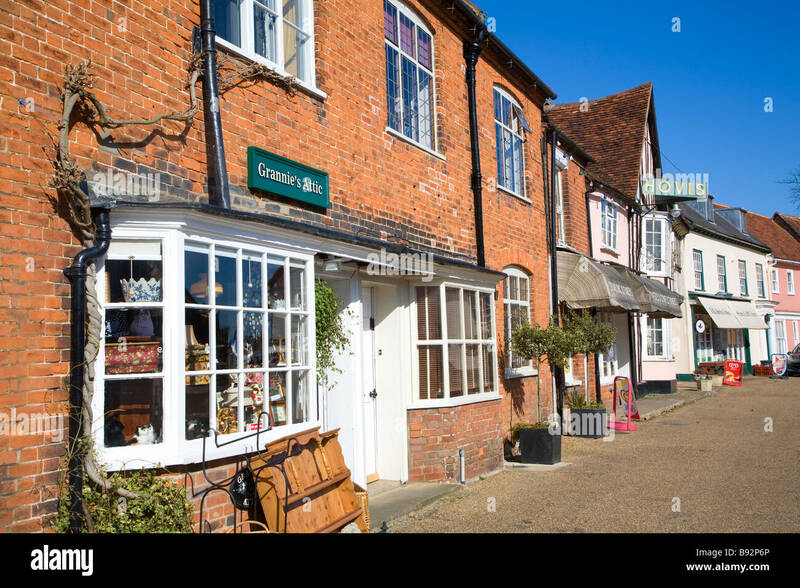 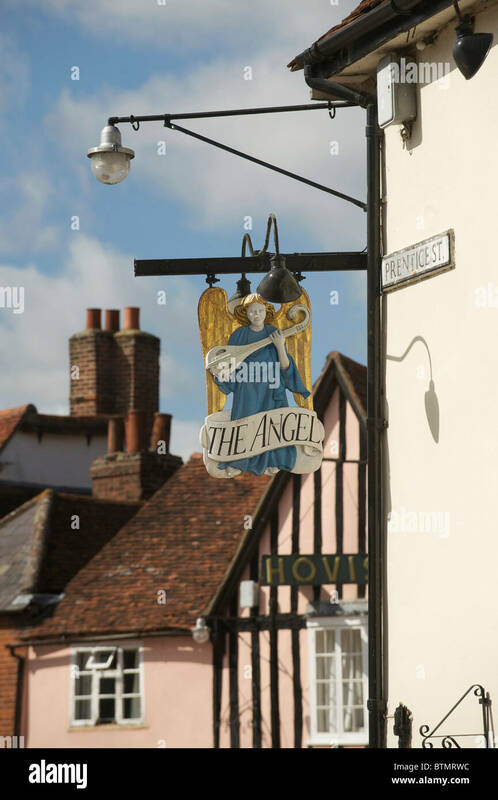 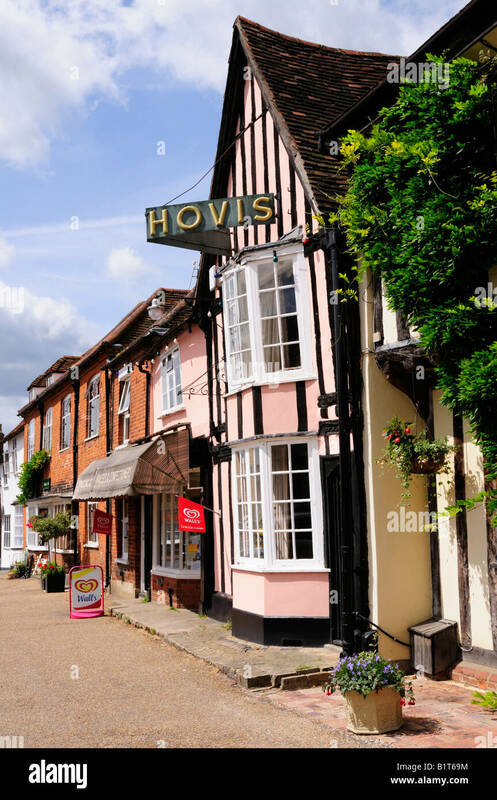 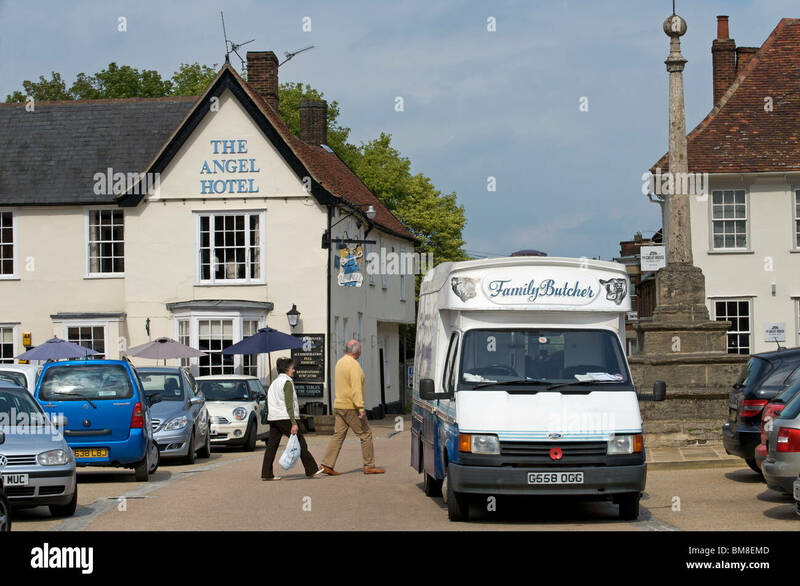 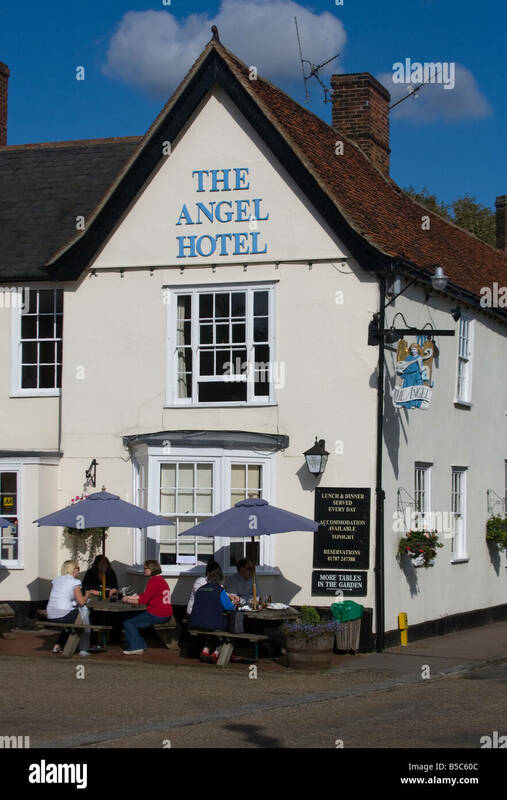 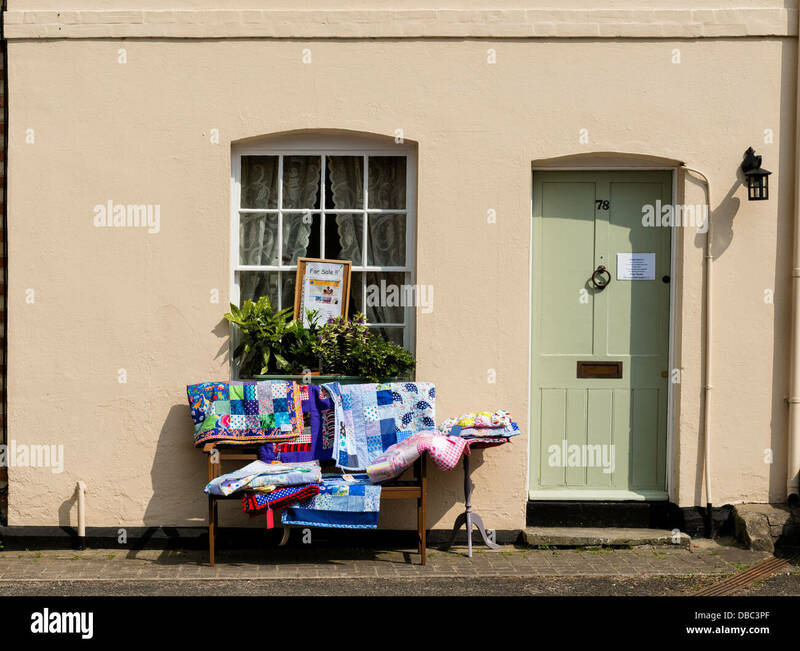 Local shop, Lavenham, Suffolk, UK. 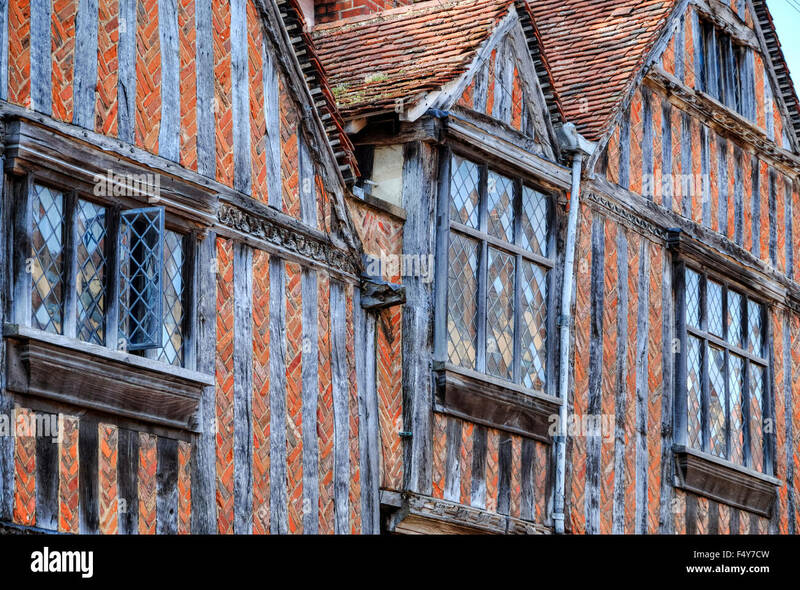 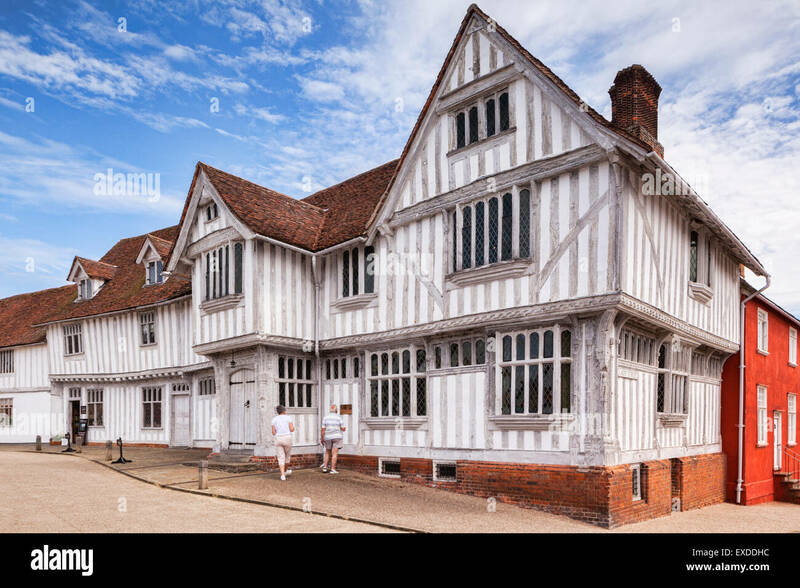 Timber framed Tudor buildings in Lavenham, Suffolk. 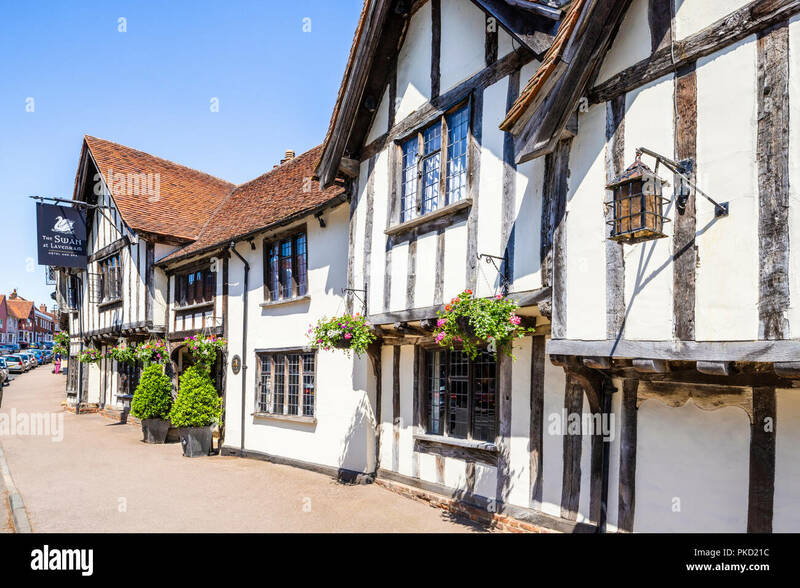 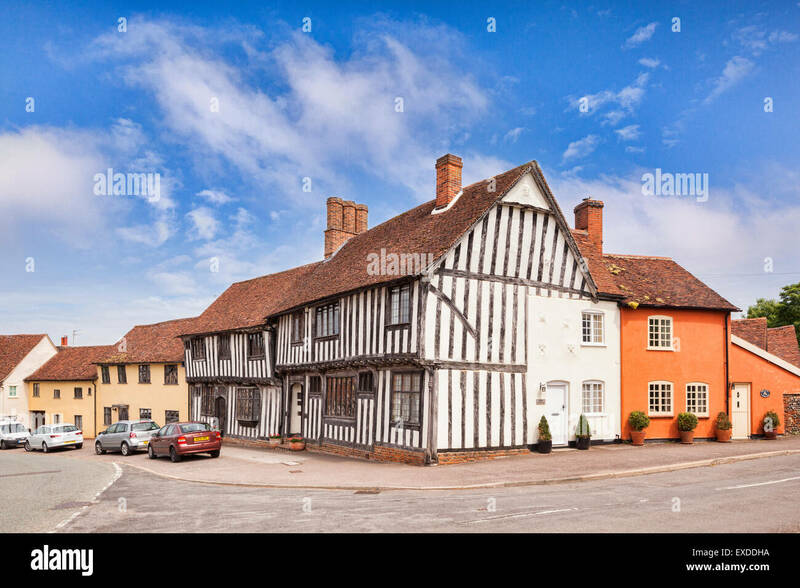 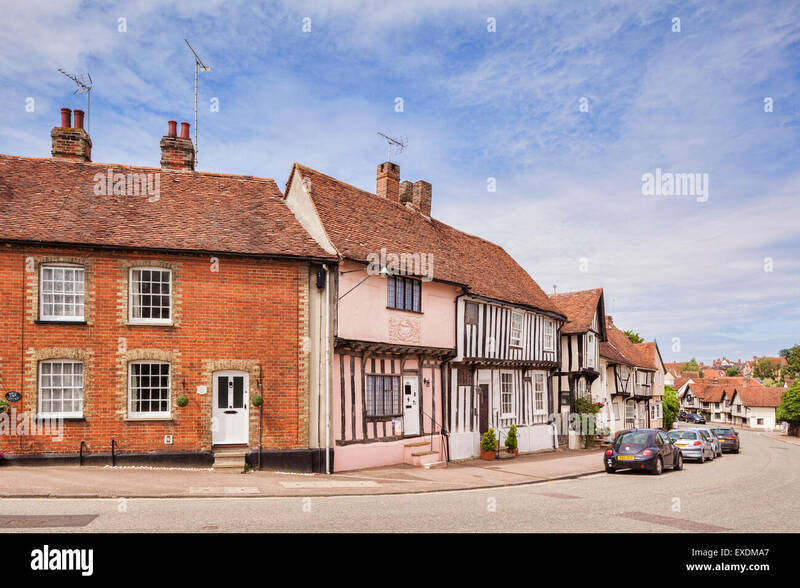 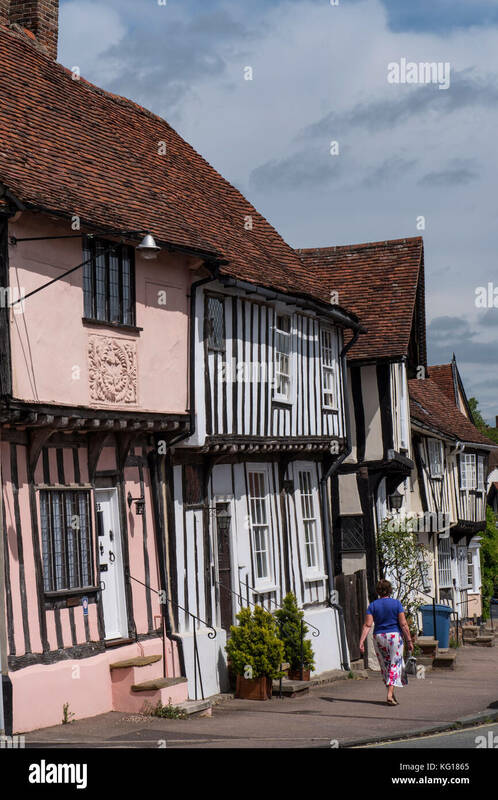 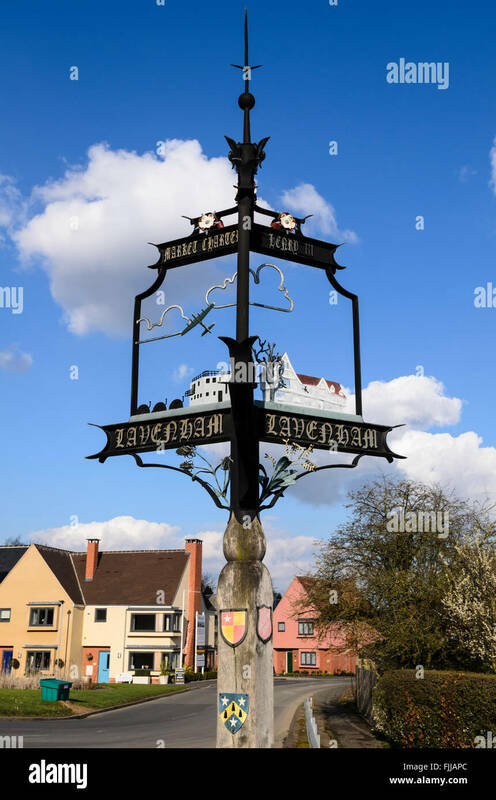 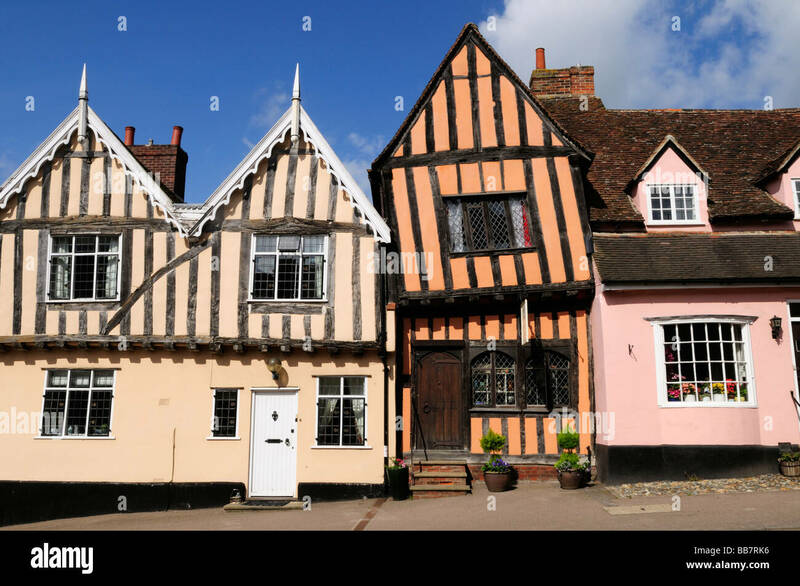 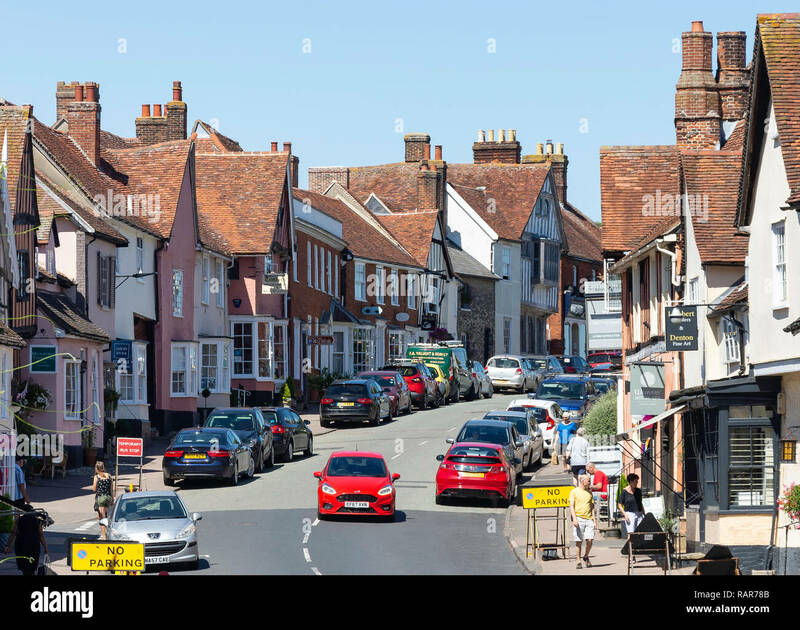 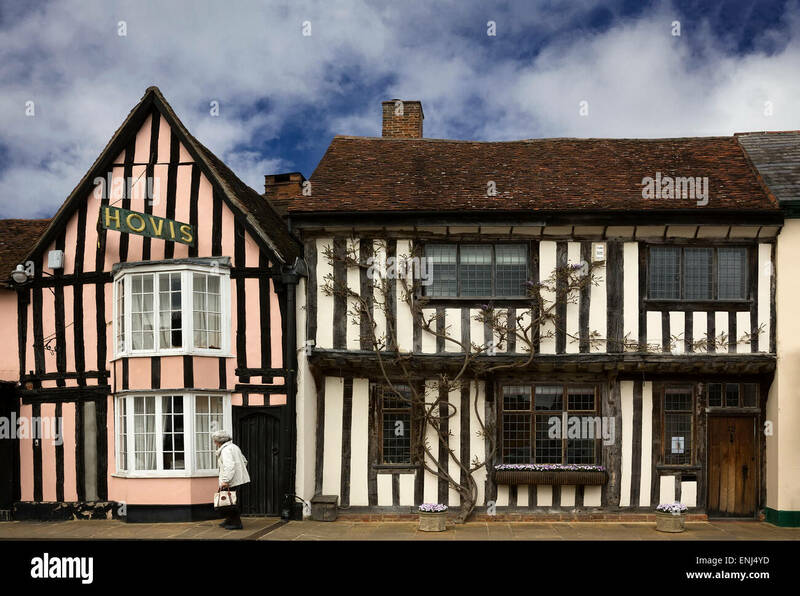 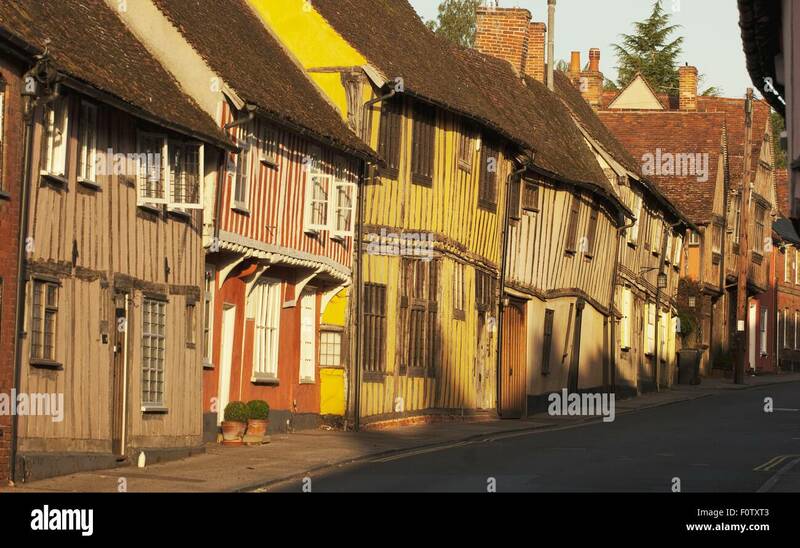 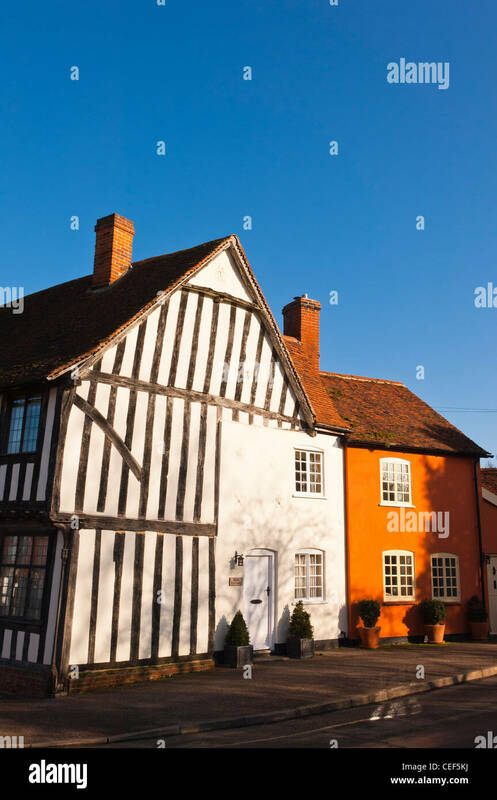 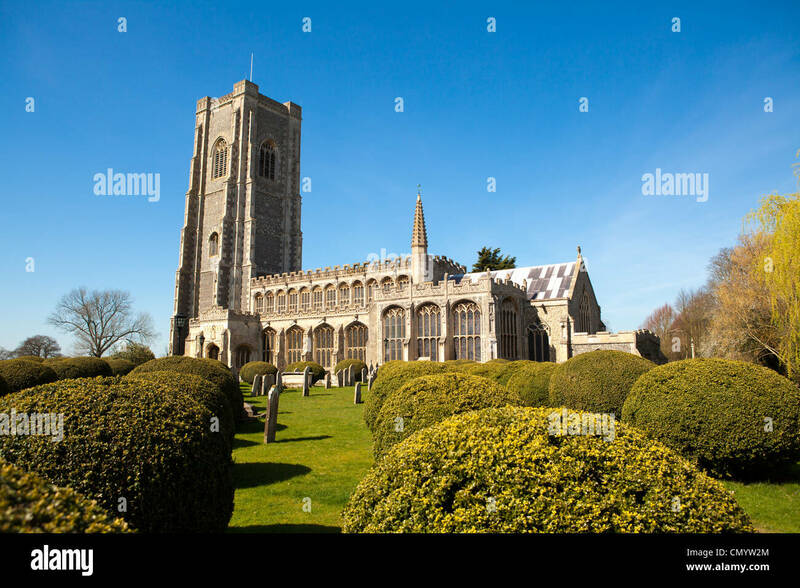 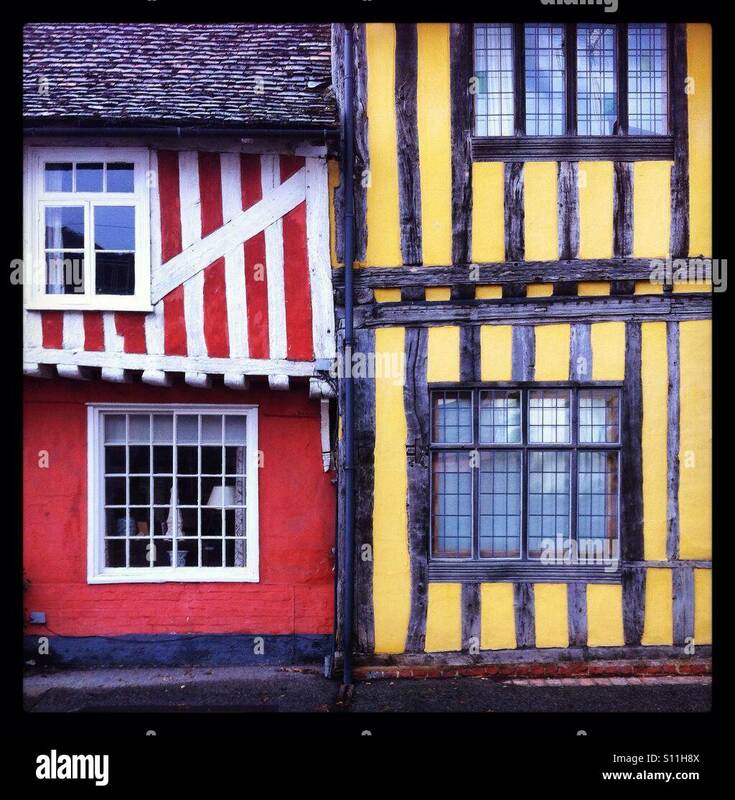 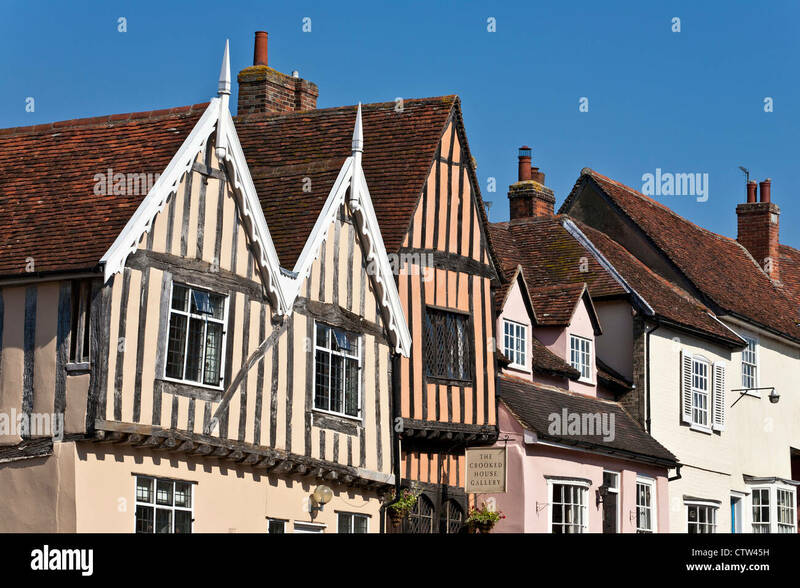 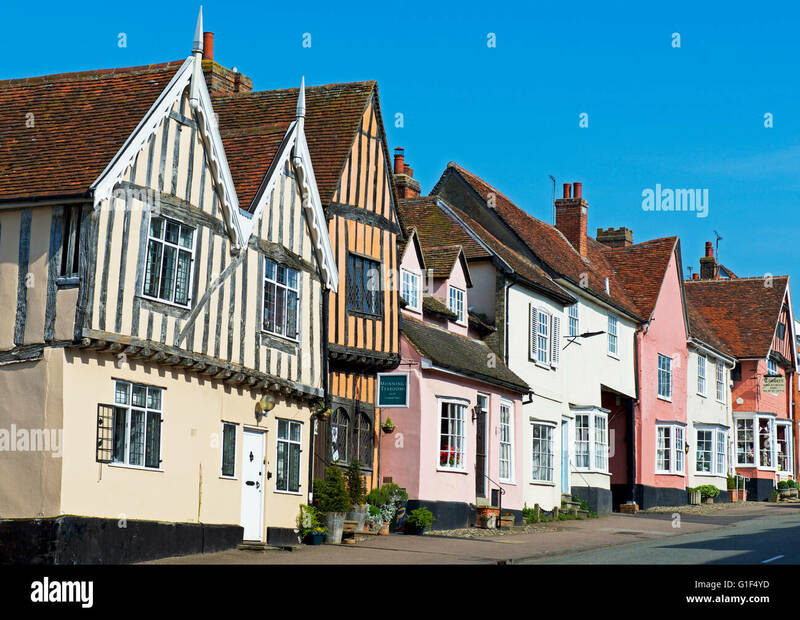 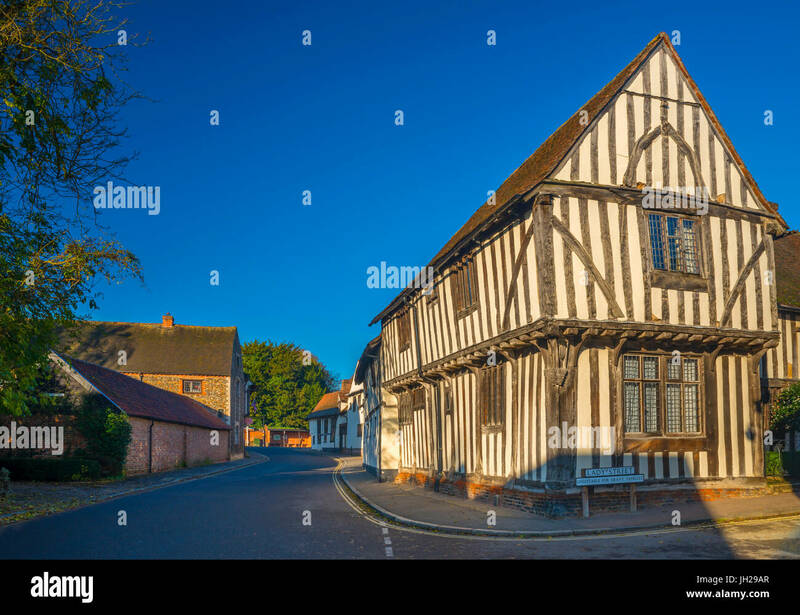 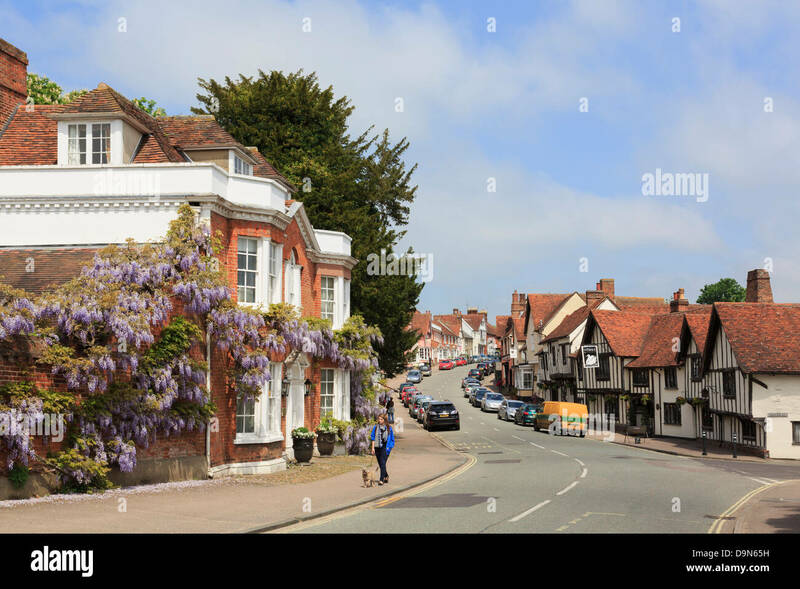 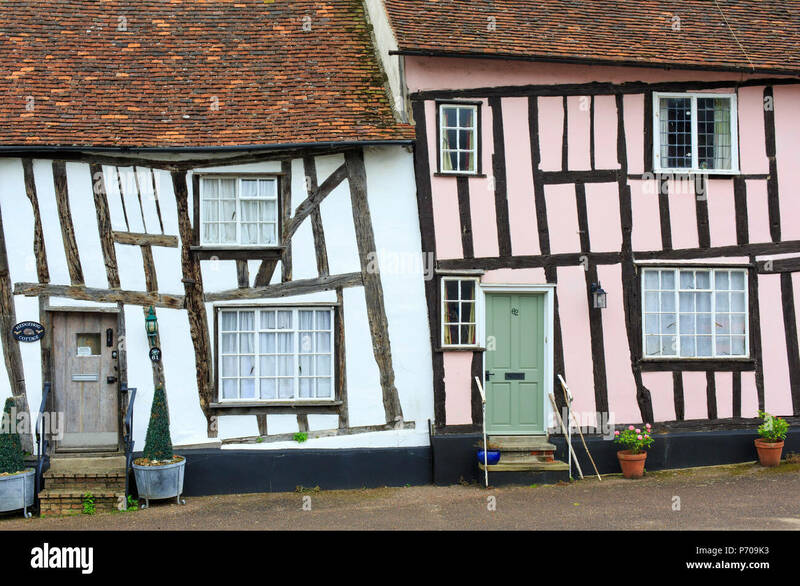 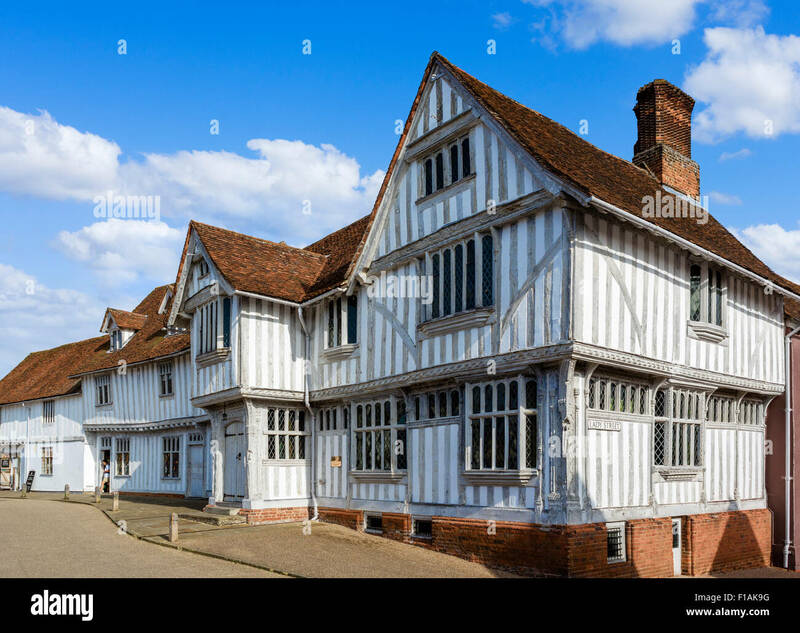 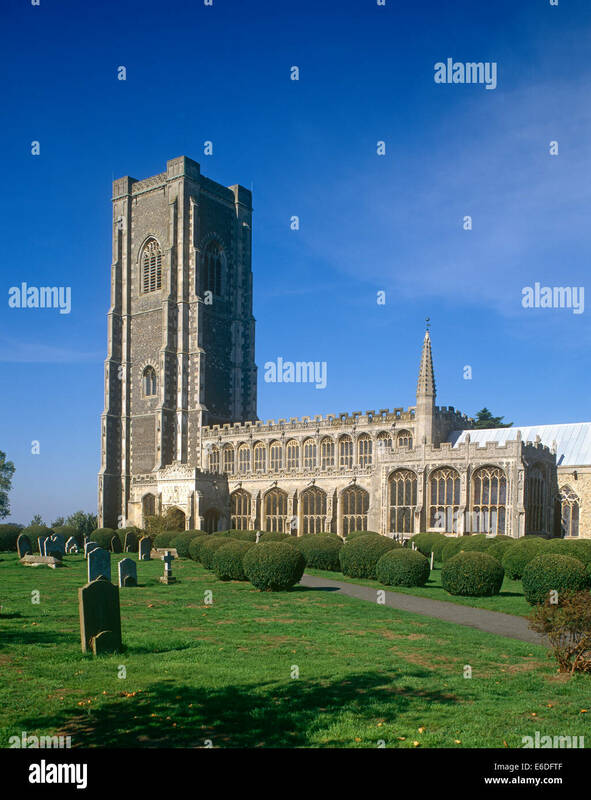 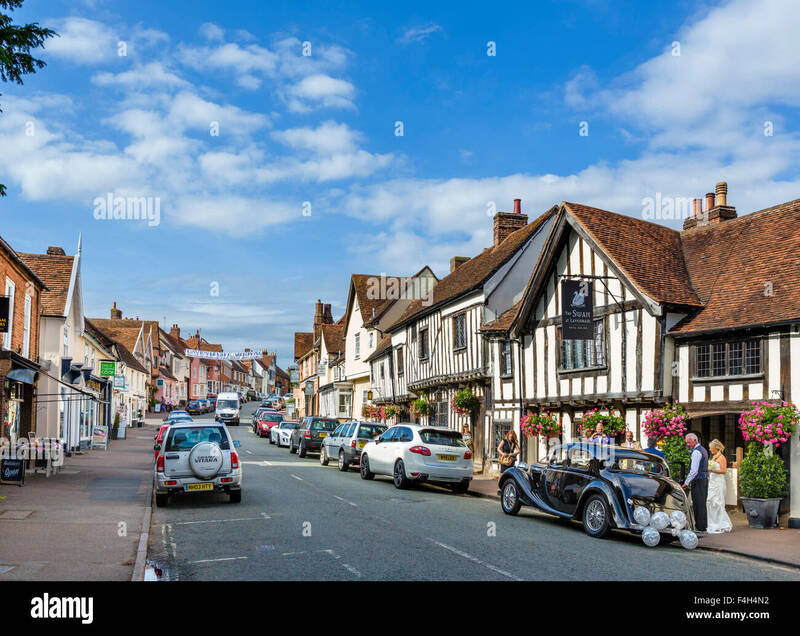 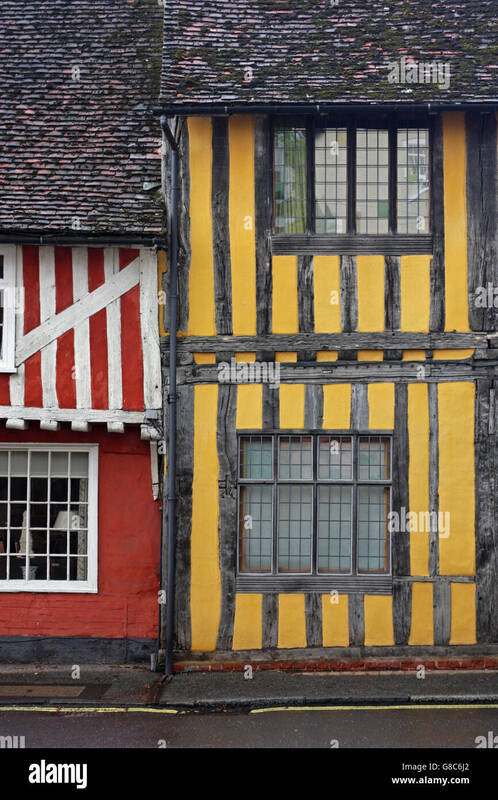 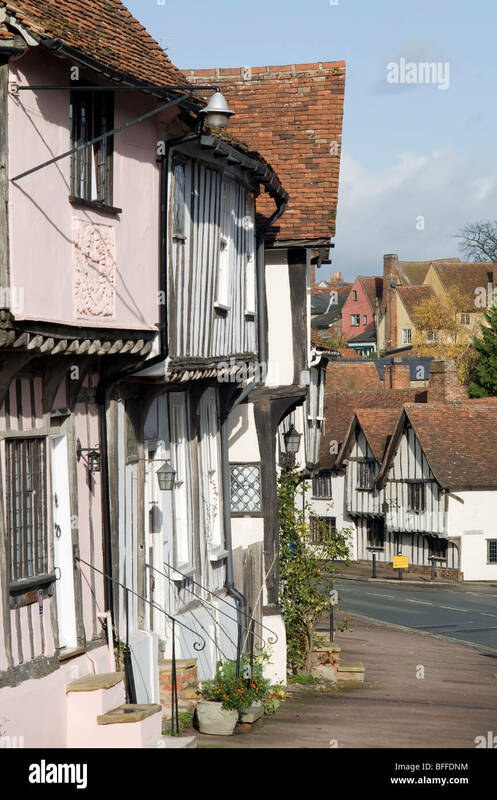 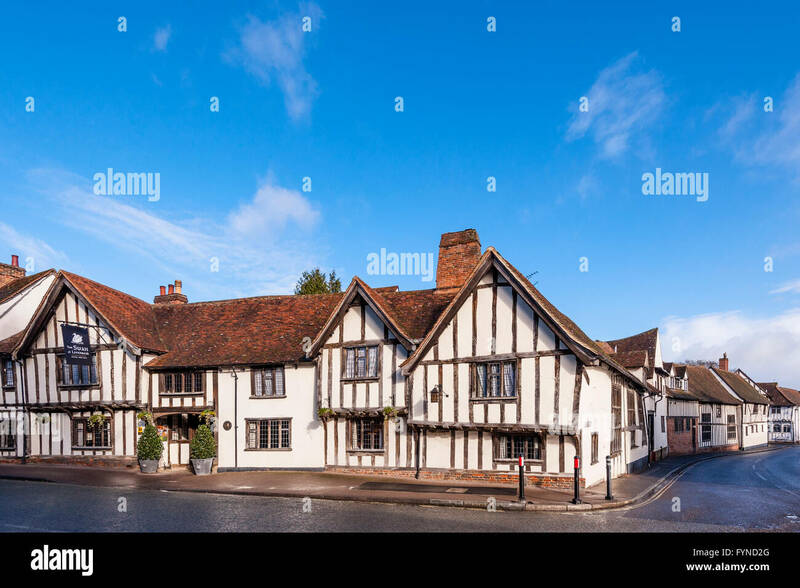 Medieval and half timbered houses in the village of Lavenham, Suffolk, England.